Founder’s Day, always celebrated on the first Friday after the October holiday, took on special importance in Shanghai this year being our 25thAnniversary. Twenty-five years ago, CEO and School Supervisor for the Yew Chung Education Foundation, Dr. Chan and her late mother, Madam Tsang Chor-Hang officially opened the first Yew Chung school in Mainland China. 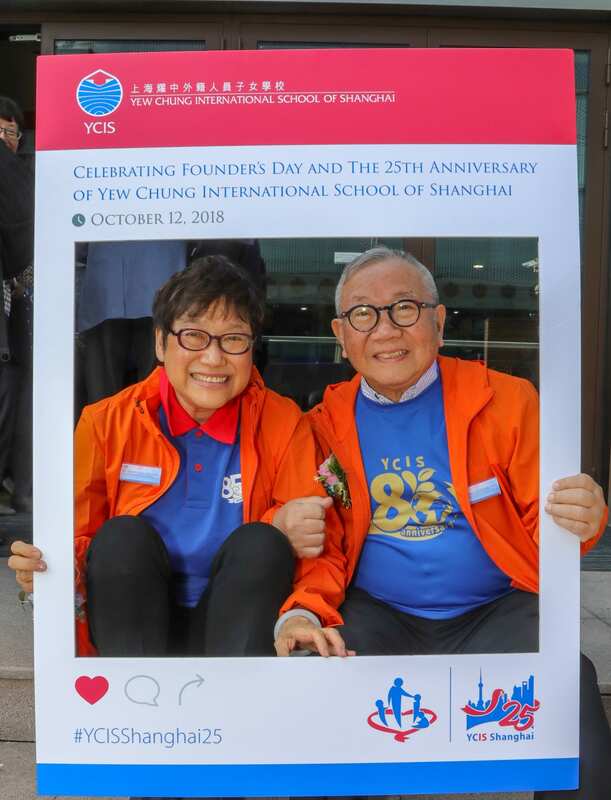 To mark this significant milestone, Dr. Chan and her husband, Professor Paul Yip, came to Hongqiao campus of YCIS Shanghai where the official Founder’s Day Ceremony was held. 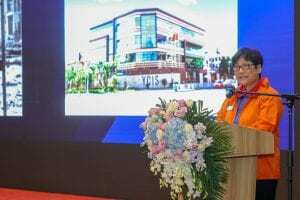 During her speech, Dr. Chan spoke of the challenges of getting YCIS Shanghai, then simply called Shanghai International School (SIS), ready for opening on the first day. 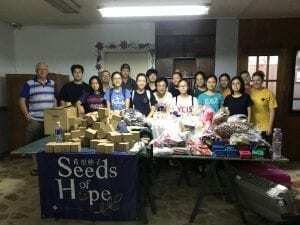 Dr. Chan, her mother and the rest of the staff worked through the night to get the school ready, and Dr Chan recalled even having to clean the toilets. Roles and hierarchy meant nothing that night, it was all about having the school ready for the children and their parents when they arrived at school the next morning. 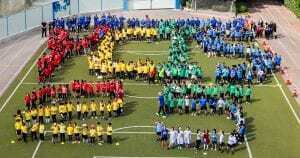 The school did open successfully, and as we know, the rest is history. 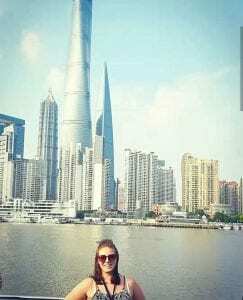 Being at Hongqiao Campus brought back a lot of memories for me. I started my international teaching career at SIS (now YCIS) as a Primary Class Teacher at Gubei campus, and in the second year I became the Music Teacher which involved teaching at Hongqiao campus as well. 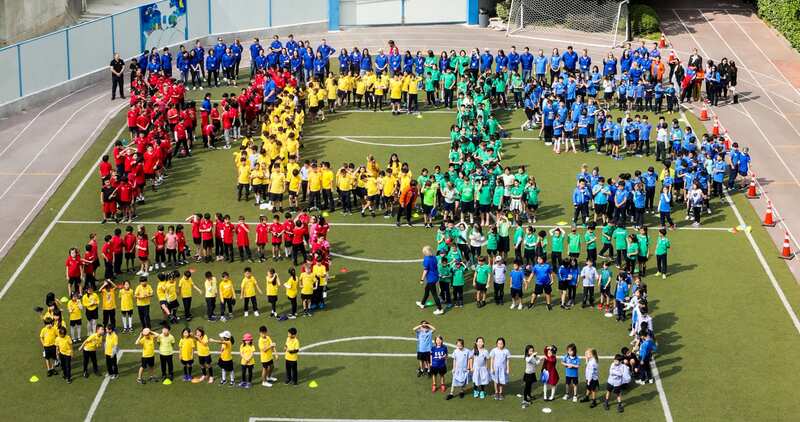 In that year I remember being involved in the 70thAnniversary Concert, commemorating 70 years since the first Yew Chung school opened in Hong Kong. 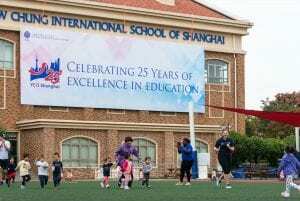 The school looked very different back then and the building I taught in at Hongqiao has now been replaced. 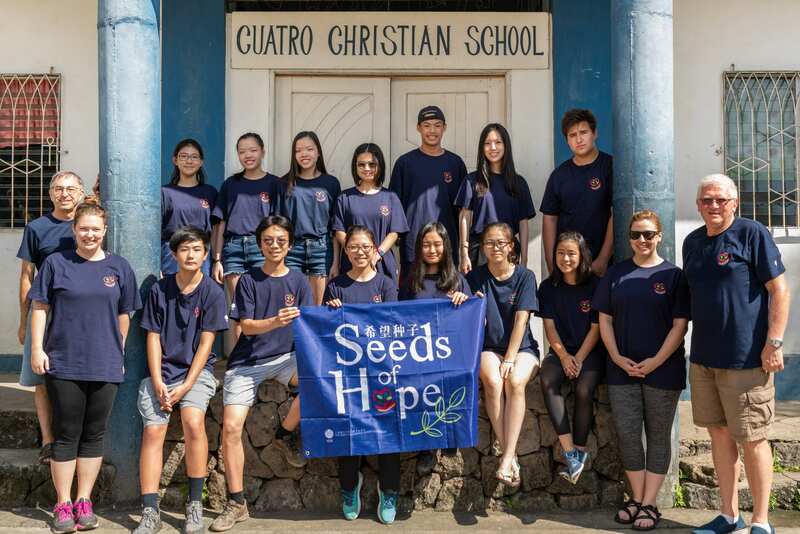 Fast forward, and this year we were celebrating the 86thyear of Yew Chung. 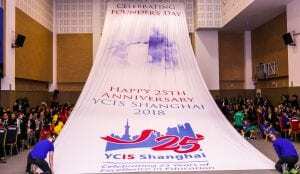 Along with my SLT partners, Mary Yu and Ray Zhang, I was present as a special guest for the 25thAnniversary Ceremony at Hongqiao Campus on Founder’s Day. 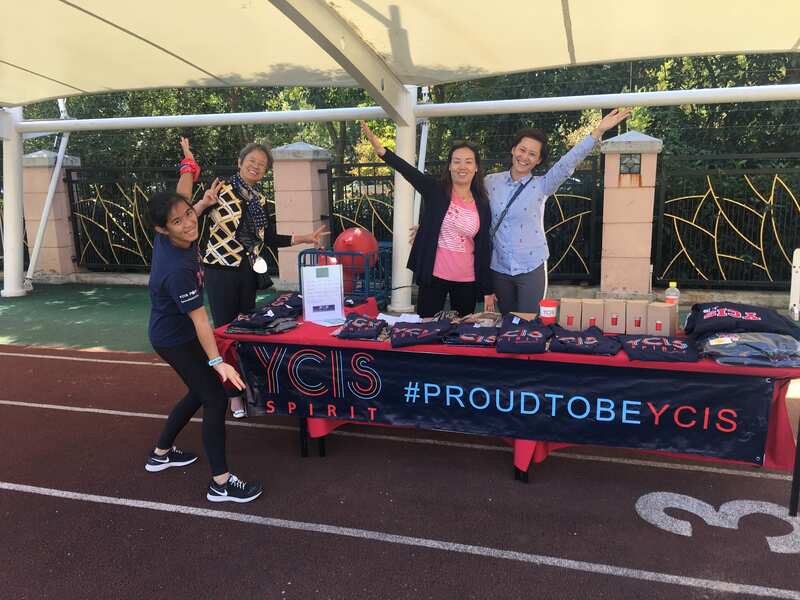 We were proud to take members of our YCIS Pudong community with us which included: our Parent Relations Staff, a small group of our parents, and five of our Secondary students who are all student leaders in the school. 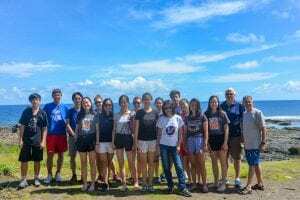 Our group had a photo with Dr. Chan and Professor Yip, participated in the ceremony and enjoyed the refreshments afterwards. The ceremony was streamed to all of the other Yew Chung and Yew Wah schools across Hong Kong, Mainland China and Silicon Valley in the US. For the first time the ceremony was also streamed on a live app and parents, friends and alumni were able to watch from home, work or wherever they were. In her speech, Dr. Chan talked about the legacy that has been left by her mother and the incredibly rich history that has been created for YCIS and YWIES. 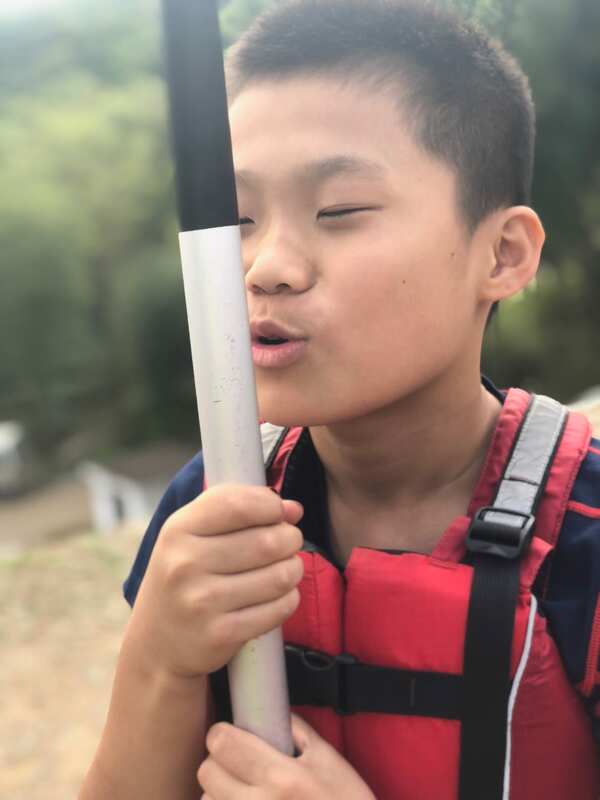 Since the very first day, the school has always been committed to developing the whole child, and great value is placed on character development. 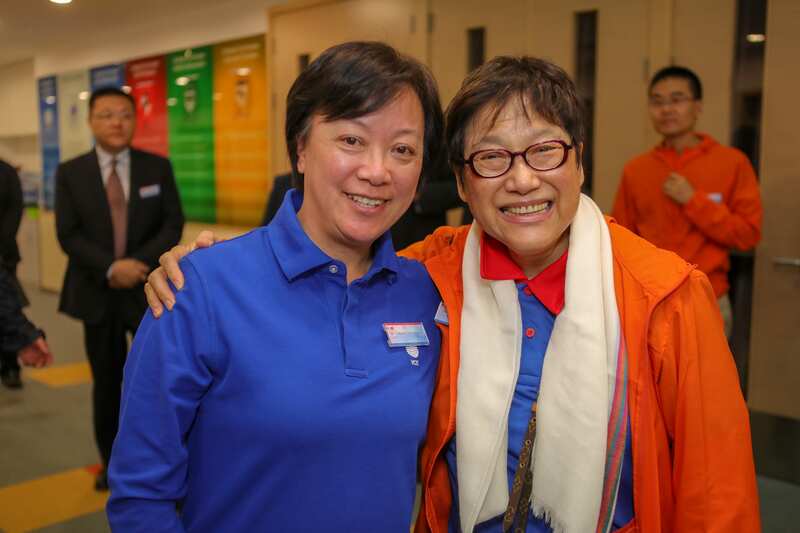 Dr. Chan used this opportunity to proudly introduce the Yew Chung Early Childhood Education College in Hong Kong. This College is now approved to offer Bachelor degrees for ECE Teachers. Dr. Chan sees that as going full circle. Yew Chung was originally set up as an Early Childhood school which later added Primary and Secondary. Now, the organization will be able to train teachers to be qualified to teach the ECE children. 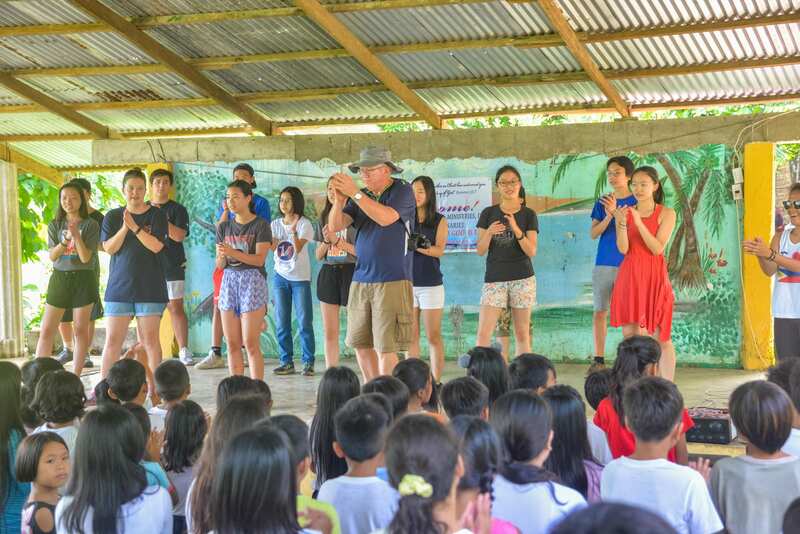 Dr. Chan is planning to also set up scholarships so that students from low economic backgrounds around the world can go to the college to be trained to teach early childhood, and potentially return to teach in their communities. 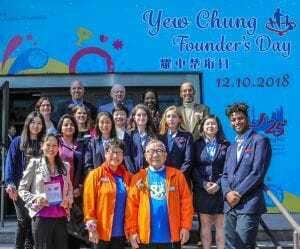 Founder’s Day truly was a celebration of the long history of the Yew Chung Education Foundation. It was great to celebrate the day with other colleagues, parents and students, and we look forward to building on the foundation that was set so many years ago, to continue to develop students with great character who go on to make a difference in the world. Technology provides us with a gateway to explore opportunities and information. 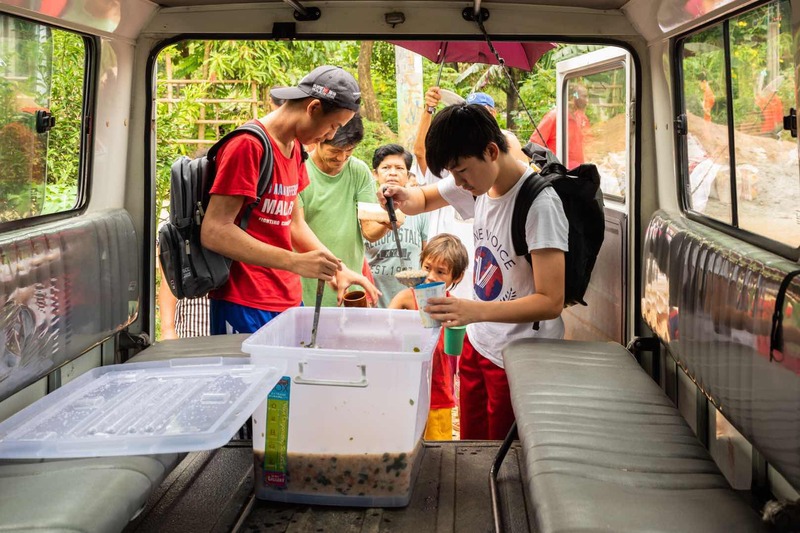 The internet, in particular, has opened up the world with cross-cultural communication and information sharing. 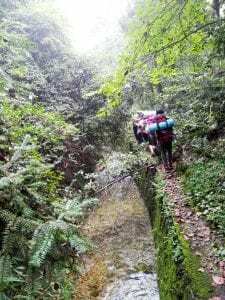 However, technological innovation and exploration aren’t always confined to screens. Some of the greatest advancements have been derived from building devices that perform pre-arranged tasks. In fact, robots of some form or another have been used in our daily lives for decades. 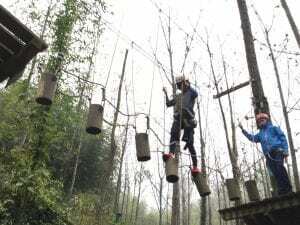 They allow us to make movements we couldn’t naturally produce, to do jobs too dangerous or technical for humans to perform, to make businesses more efficient, and sometimes they just make life easier, allowing us to invest our time in more important endeavours. 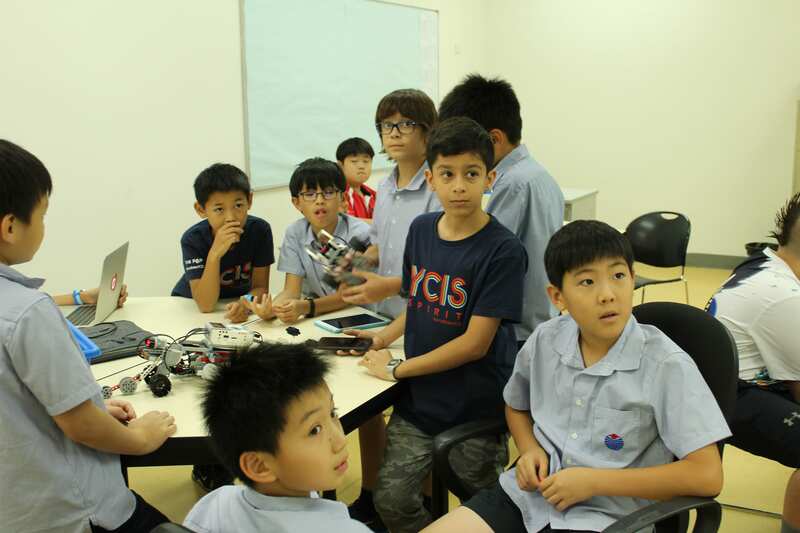 The Robotics Co-Curricular Activity (CCA) is an after-school programme offered at YCIS Pudong Century Park Campus, which gives participating students the chance to discover modern-day robotics. 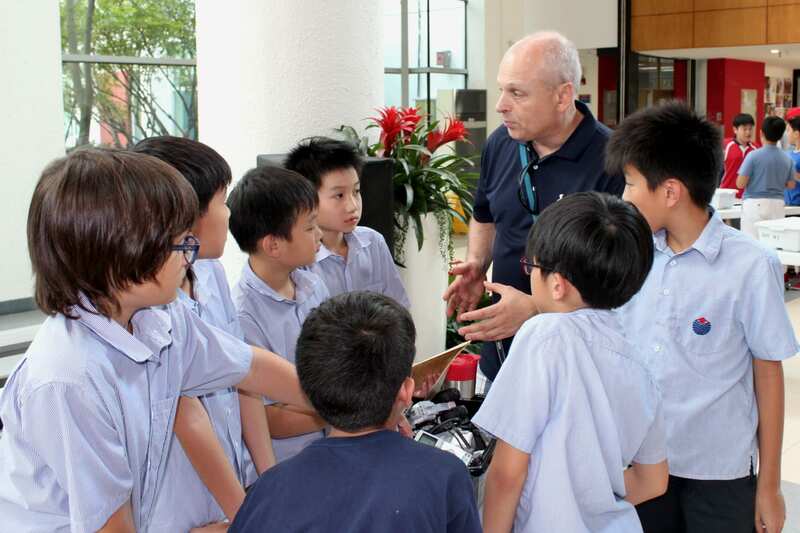 It also gives the students the chance to build and programme an actual robot. 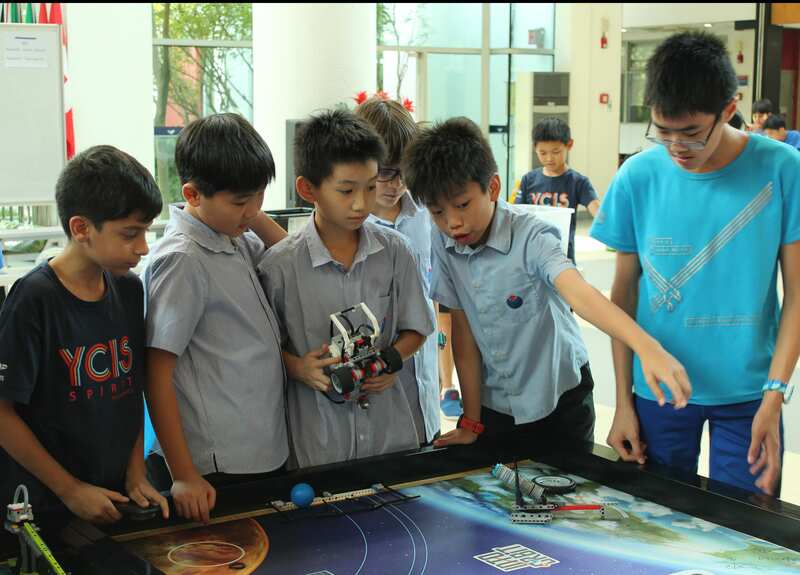 The Robotics CCA serves as a fantastic opportunity to introduce students to coding and control systems, which are taught in a fun and educational way with the hope of providing the students with a head start in this increasingly-important area of technological development. 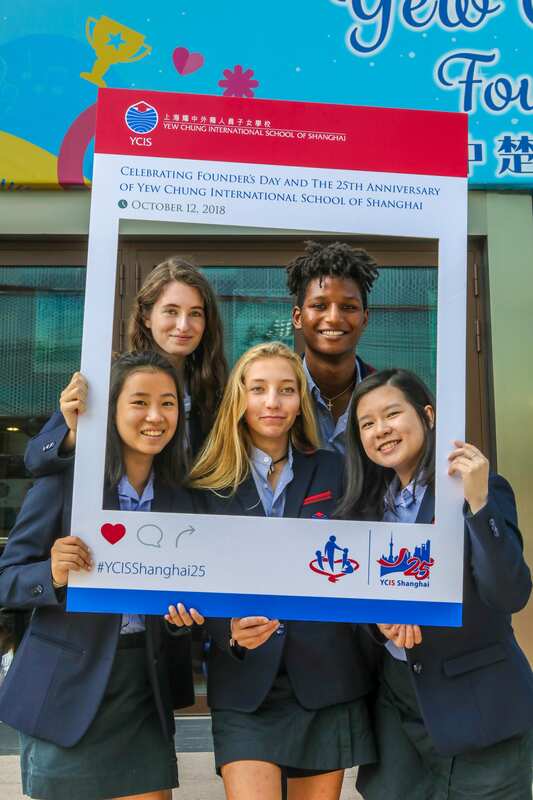 In September, YCIS Pudong students from the Robotics CCA participated in a Robotics conference in Suzhou which was attended by a number of international schools. 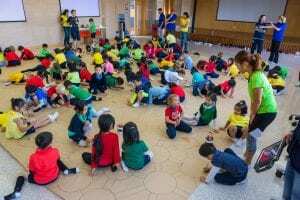 The attendees completed three workshops on programming, one workshop which reviewed the rules for the major, annual Robotics competition which they will compete in this December, and one on the competition’s core values. 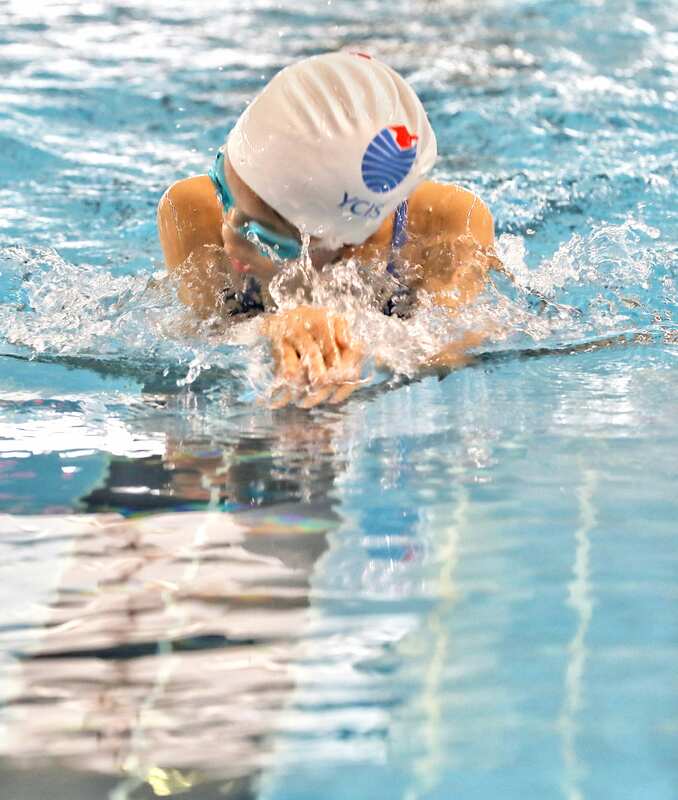 During their time in Suzhou, the students also competed in a mini competition. 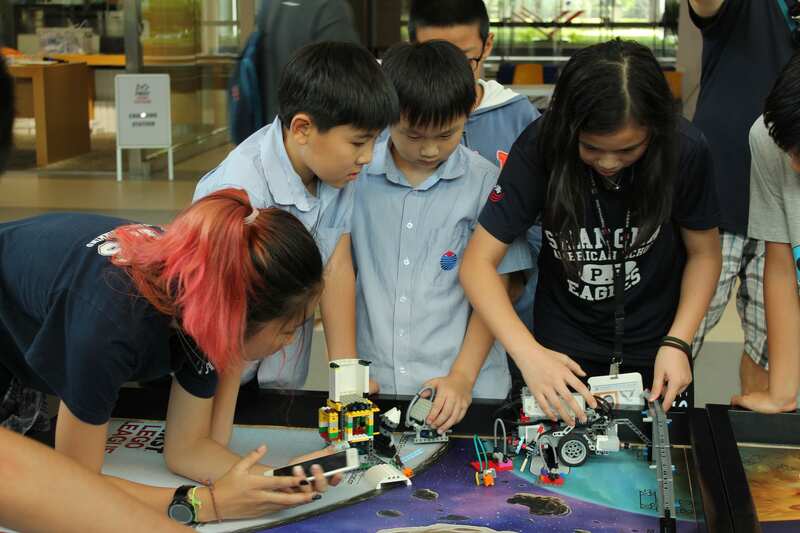 The Suzhou visit inspired the minds of the budding-engineers, who are now preparing for the competition which will take place in Shanghai in December. 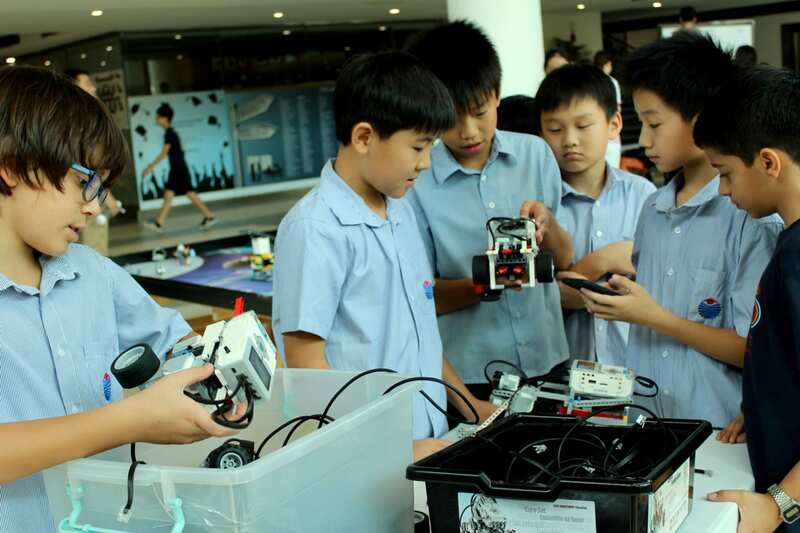 The competition has two parts: the first being programming a robot to follow a circuit, and the second being a series of three presentations. 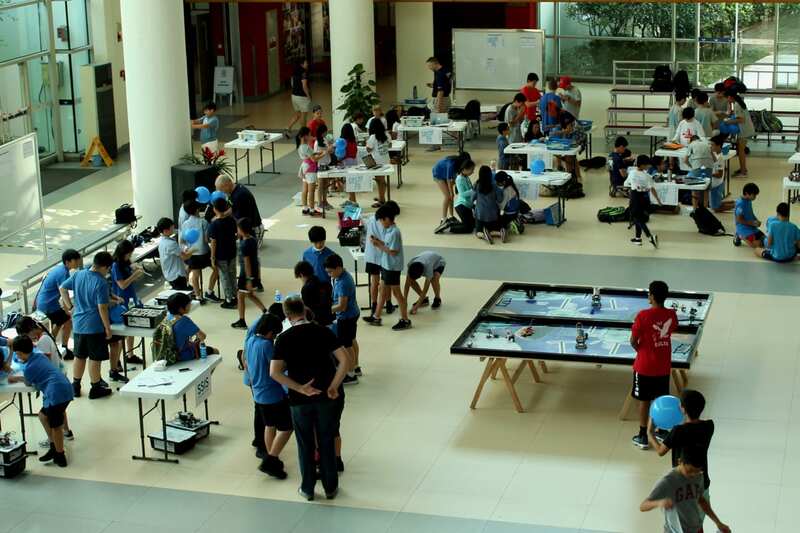 The presentations will focus on six core values (‘Discovery’, ‘Innovation’, ‘Impact’, ‘Inclusion’, ‘Teamwork’, and ‘Fun’), robot design, and a research problem, which this year revolves around the ‘Into Orbit Project’ theme. 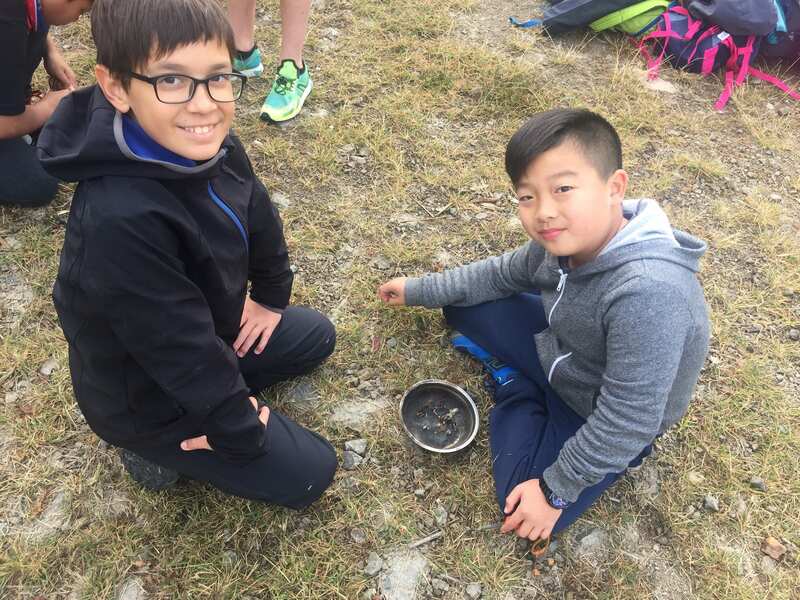 The students must “identify a human physical or social problem faced during long-duration space exploration within our Sun’s solar system and propose a solution.” This is no easy feat; however, at YCIS, our students are always ready for a challenge! As the world develops an ever-increasing reliance on technology, there is much debate surrounding its influence and applications. It can be easy to miss the positives of technology and the pleasure that it can bring to our young learners. 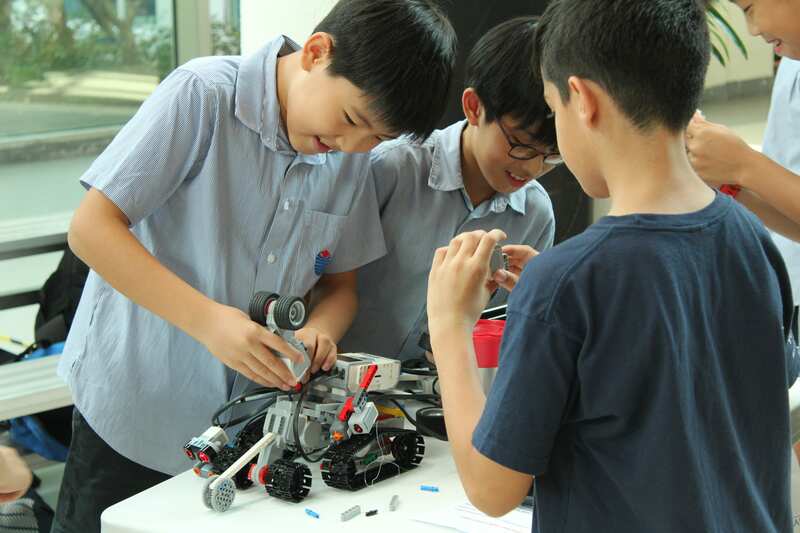 The Robotics CCA is an excellent chance for the students to problem solve, to work with their hands, and to overcome scientific and mathematical challenges all in a fun and practical way. It also provides students with a foundation in STEM (Science, Technology, Engineering, Mathematics) that they can take forward in their studies, and possibly even in their future careers. 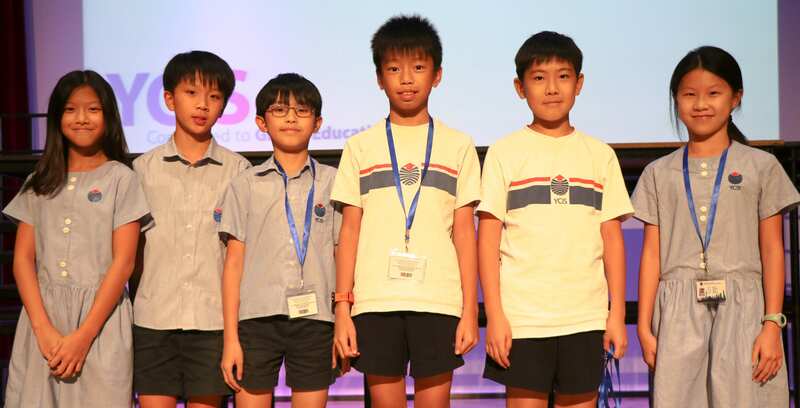 We look forward to hearing all about the wonderful and “out of this world” solutions our students present in December! This year, being a member of the Student Council means taking on a significant role as a voice for our friends. 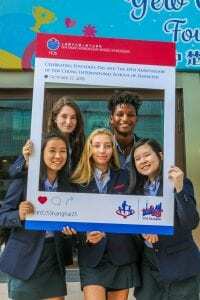 The roles and responsibilities associated with being an elected member of Student Council continue to grow. I sat down with some members of this year’s council to talk about their vision for the year ahead. In your opinion what is the most important part of being a member of Student Council? Caroline: I think it’s about leadership. Being on Student Council means representing your class, your family and yourself. 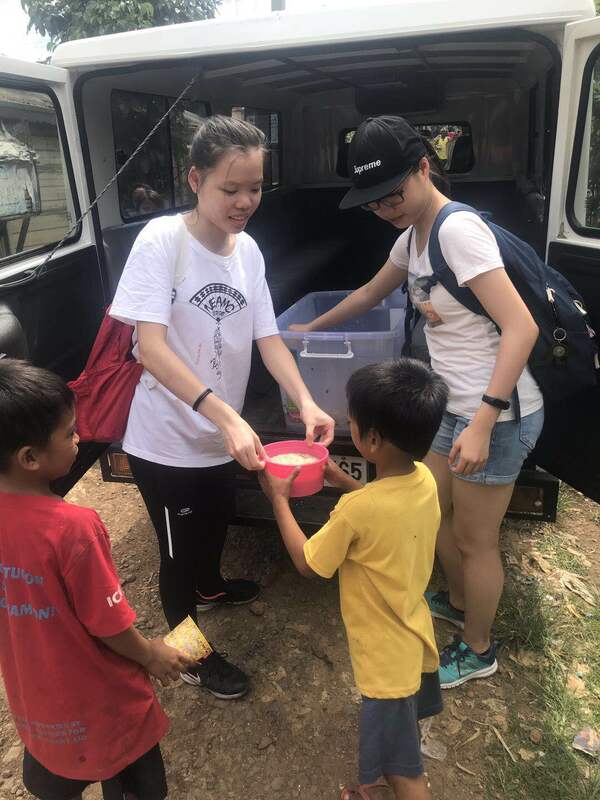 Ryan: Helping others is very important. 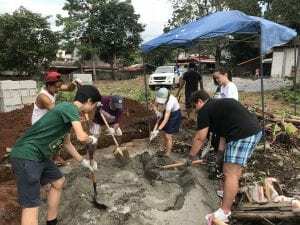 It makes the school a better place so that students can have more fun and enjoy school. After our first meeting on Friday, what are you most excited about? 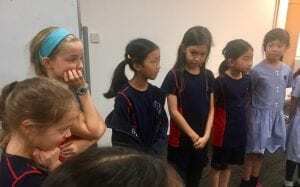 Emma: It made me feel like I am a leader of my class. It was good to think about the theme of the year book and maybe one of our ideas will be chosen. Rebecca: I’m excited to go to the Christmas Tree Lighting and to be a part of the Christmas charity and giving events. I think it will be a lot of fun! Finally, what is one more thing that you would like people to know about Student Council this year? 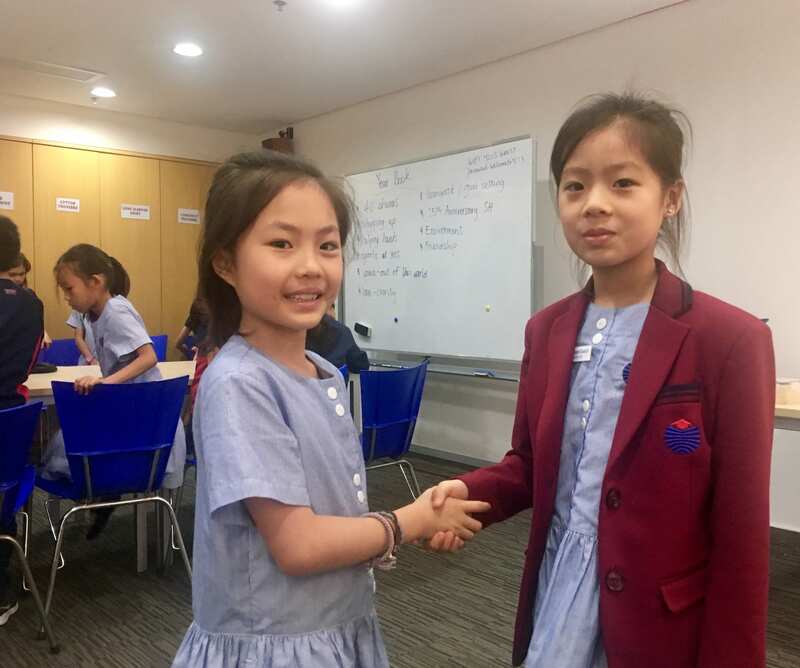 Caroline: Student Council is valuable to the school because if they need student helpers or volunteers then they know that we can be relied upon. We are always ready to be good leaders and help others. Emma: Student Council helps our school involve the students in different activities and decisions and we are a voice for YCIS students. 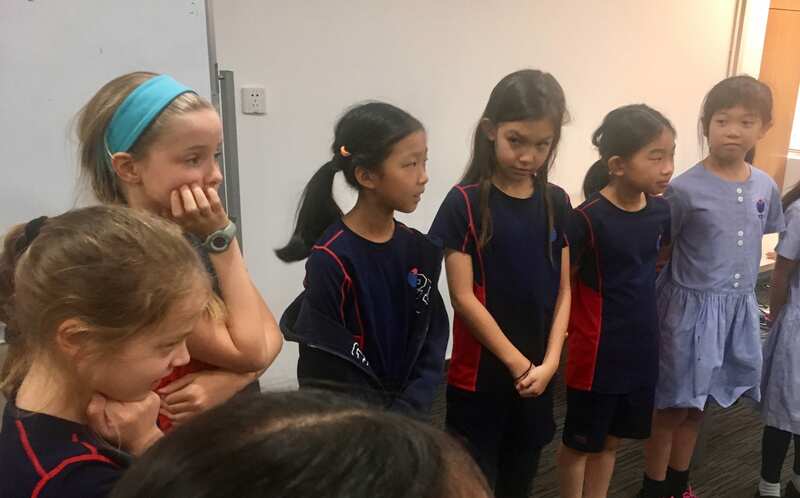 Rebecca: I think that if teachers just make all the decisions then students don’t have any input then students won’t really understand what all of the events and activities are about. For example, with the Year Book if students choose the theme then they feel like it is for them. Ryan: Student Council can make a big difference from last year to this year. It opens up opportunities for students to participate in different activities and help others to enjoy school and be happy. 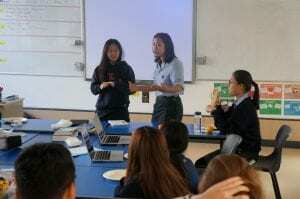 On Friday October 19, the first official Student Council meeting was held. 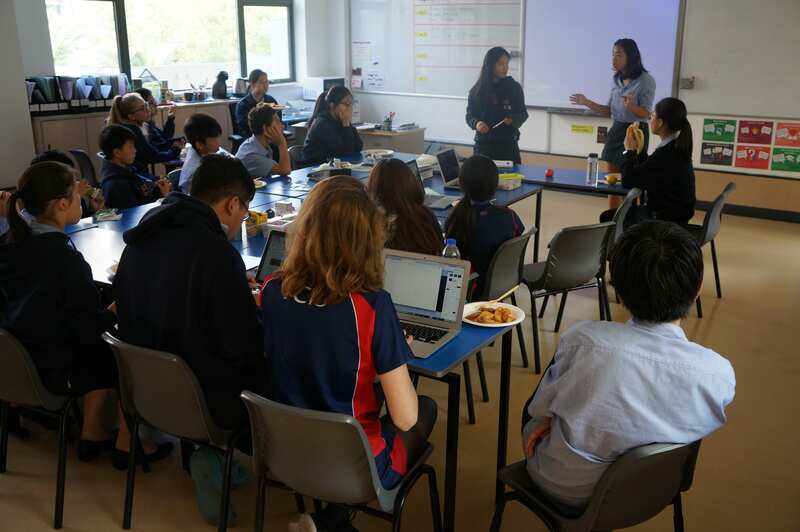 Members wasted no time in getting down to business with a full agenda which included; creating a standing code of conduct for members; brainstorming themes for the Year Book; and beginning work on promoting fast approaching Christmas charity events. It is inspiring to be working with so many promising junior leaders, their passion and energy is certainly contagious. Keep an eye out for our representatives at school events, we’d love to say hello. 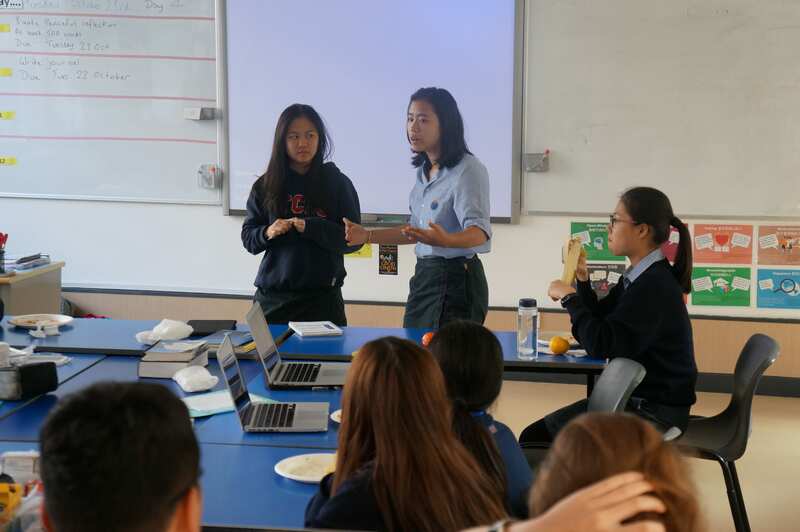 One of the key roles of the Student Council is connecting the community by taking forward ideas and suggestions from the student body to make improvements that help everyone. 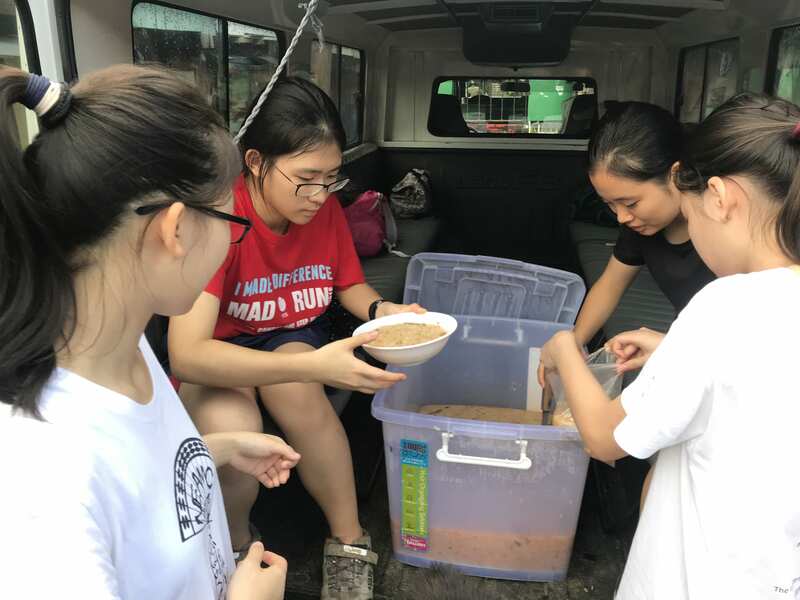 With the whole school having a vested interest in the Student Council’s success, it is vital that we collaborate effectively, and this is why our starting point this year was to spend time on team bonding. 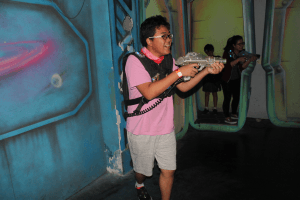 On October 12, the Student Council went to Big E to participate in activities such as karaoke, foosball, darts, and everyone’s favourite—laser tag. 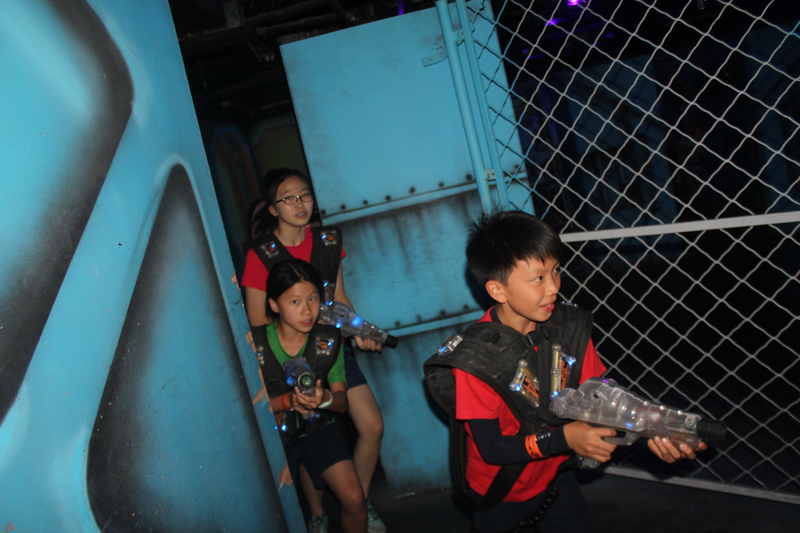 While waiting to play laser tag, we relaxed in the karaoke room. 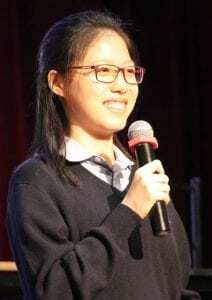 I had never done karaoke before and wasn’t confident holding a microphone, so when other students cheered me on to sing it showed me that we can all encourage each other regardless of experience or age. 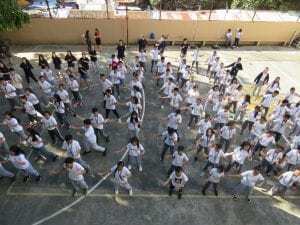 When the main event came, the Student Council split into two teams. 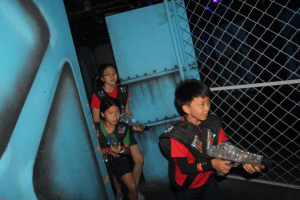 Everyone was in awe when we saw the huge, dark space where the game would take place. 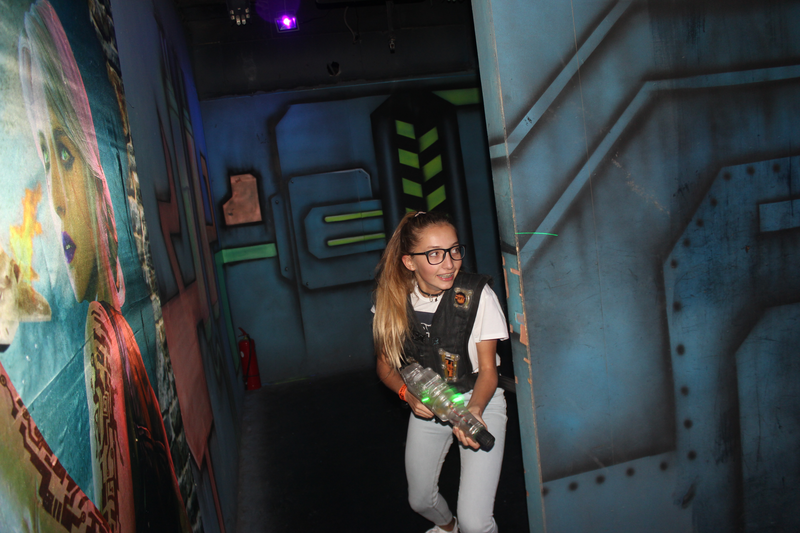 We barely had any time to get to our hiding spots before the timer started its countdown, and it was game on. 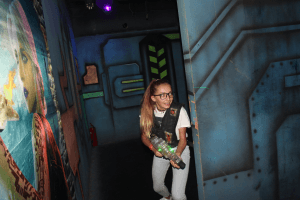 It was an extremely exhilarating experience, the sudden thrill of shooting whilst always having to run so you wouldn’t be found. 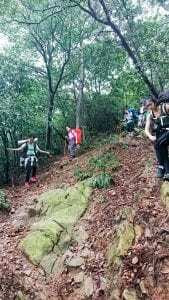 We would hear shouts between team members to help each other, and my team whispered amongst ourselves to discuss strategy. 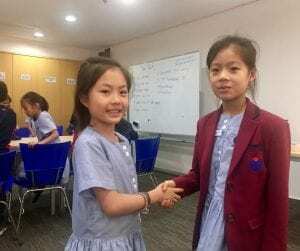 It was certainly exciting, yet it also made us get to know each other’s strengths, which will enable us to work more efficiently as a Student Council. 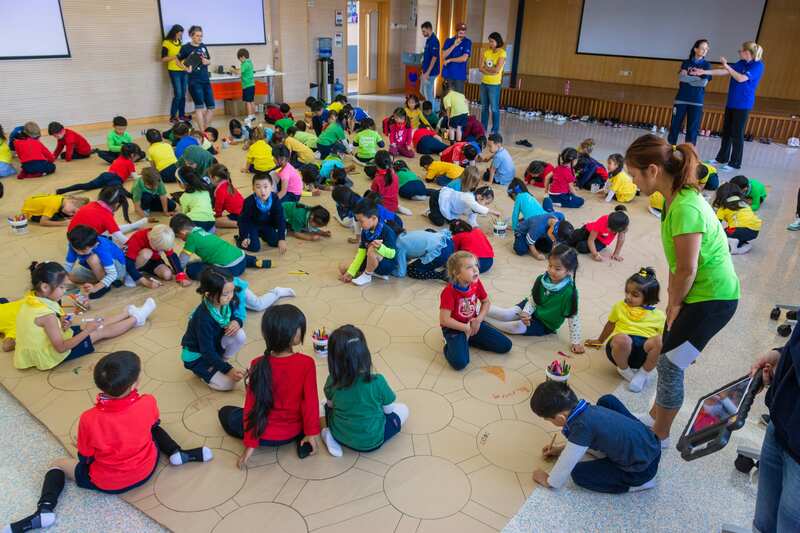 Now I feel more familiar with students I didn’t know so well before, I am confident that we can harness this positivity and bring it into our work in school, starting right away with next week’s Fall Festival, which looks set to be immense fun! 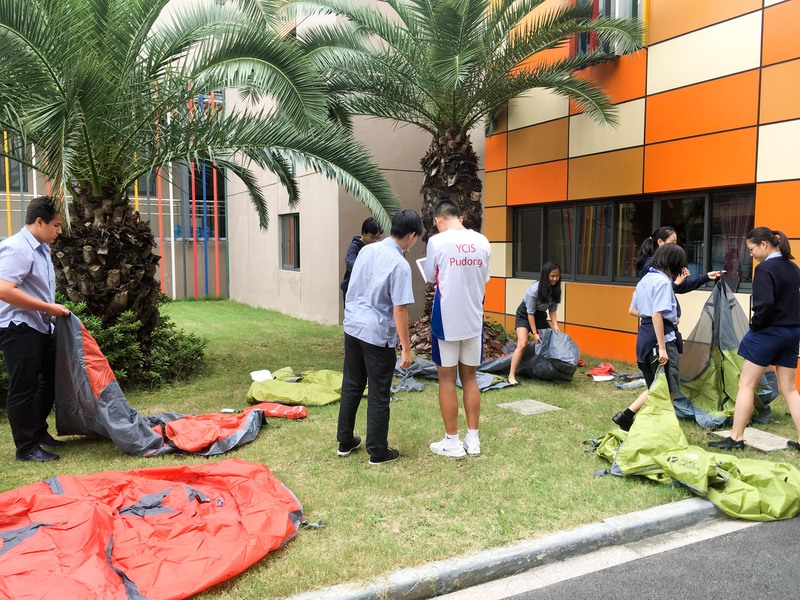 The Duke of Edinburgh’s International Award (IA)is a Co-Curricular Activity offered to YCIS Pudong Secondary students. 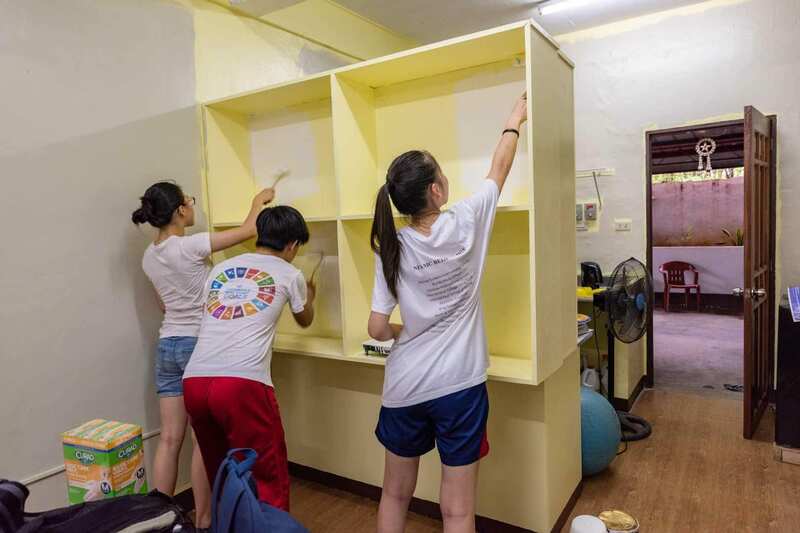 The programme ensures the development of students in three key areas: ‘Creativity’, ‘Activity’, and ‘Service’ (CAS). 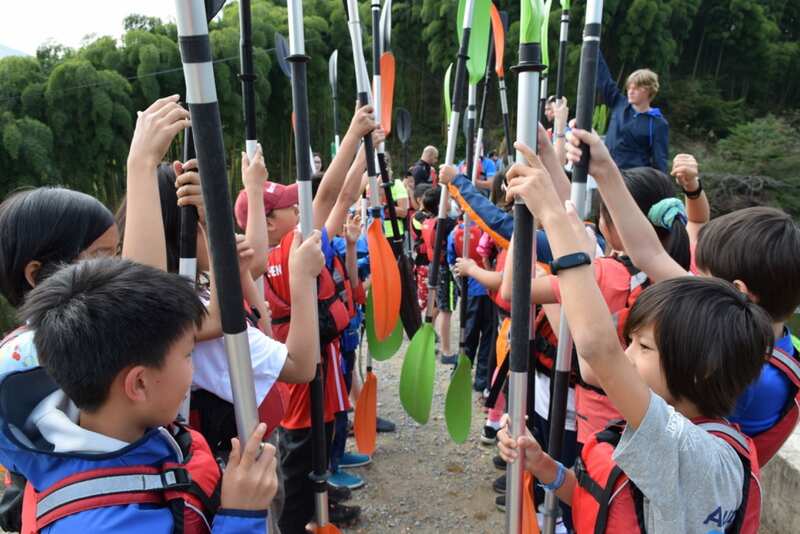 Named after the British monarch, the Duke of Edinburgh is the world’s foremost youth achievement award, which develops young people, preparing them for life challenges no matter their background, culture, physical ability, skills, or interests. 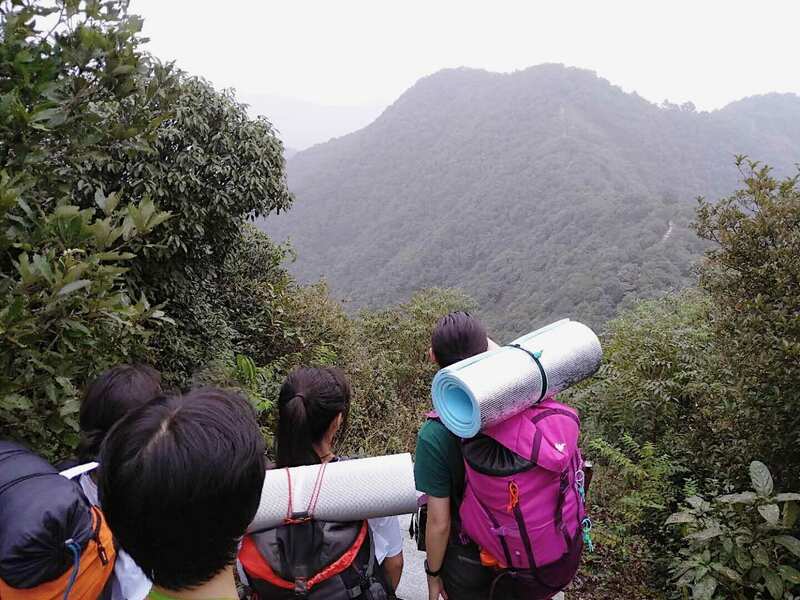 Rather than being a competition against peers, the IA pushes the young participants to reach their personal limits in order to fully realise their potential. On the morning of Friday, September 21, a group of Year 11 and 12 students set off for Hangzhou for their ‘Adventurous Journey’ weekend excursion as part of the Duke of Edinburgh’s Silver Award. Upon arrival, the students attended a briefing with their guides from Keystone Adventures. 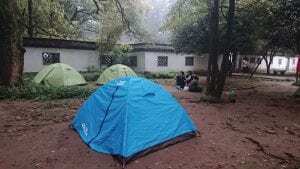 After distributing equipment – including stoves, gas, and tents – the students were ready to depart. 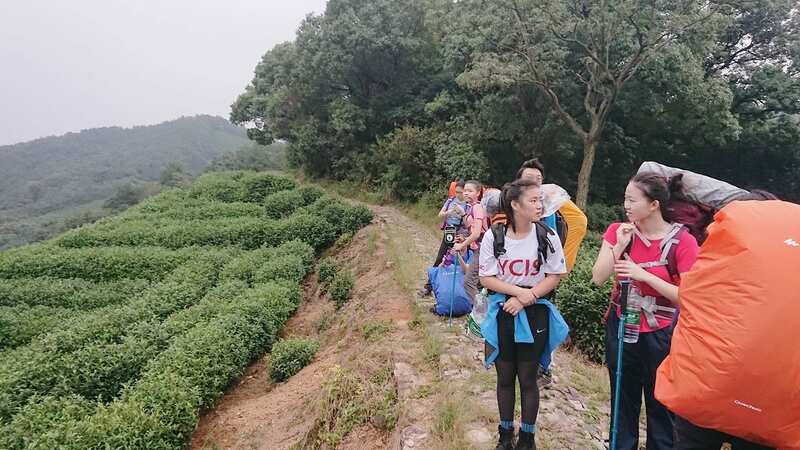 The city of Hangzhou boasts some spectacular scenery, and the group took advantage of the hiking trails within the city limits. 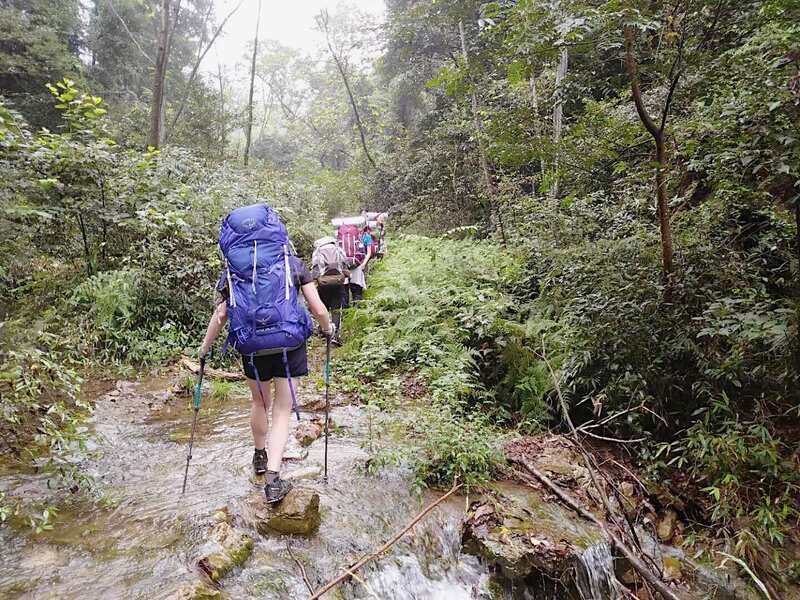 The terrain varied substantially, and, after an early creek crossing, the concrete steps at the start of the trip soon gave way to more testing dirt tracks. 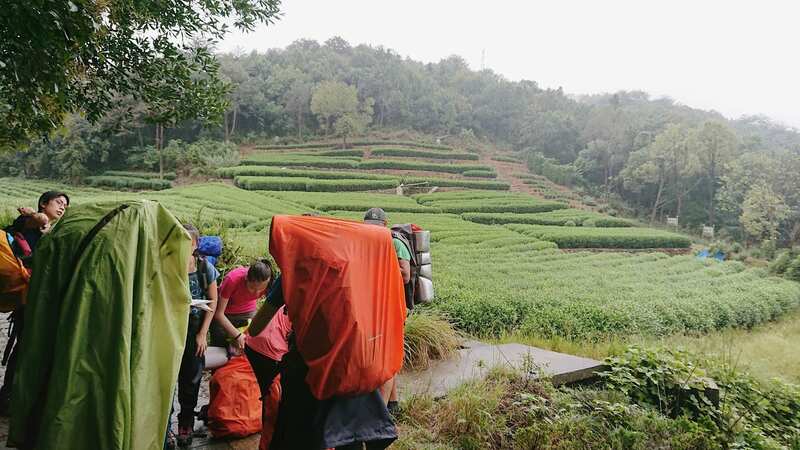 The group hiked out of the heavily-wooded section of the trail and then walked through tea plantations. 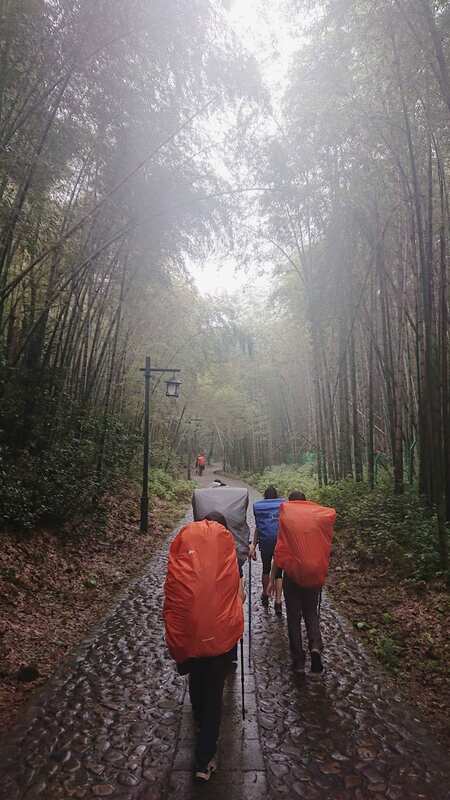 Despite darkness falling, they persevered, with the light of their head torches guiding the way to the Wuyun Temple. 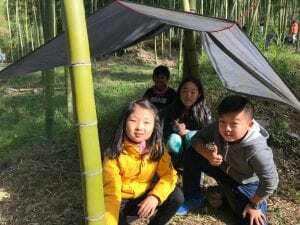 The students pitched their tents, cooked dinner for themselves, cleared any pesky moths out of their tents, and finally climbed into their sleeping bags for a well-deserved rest. 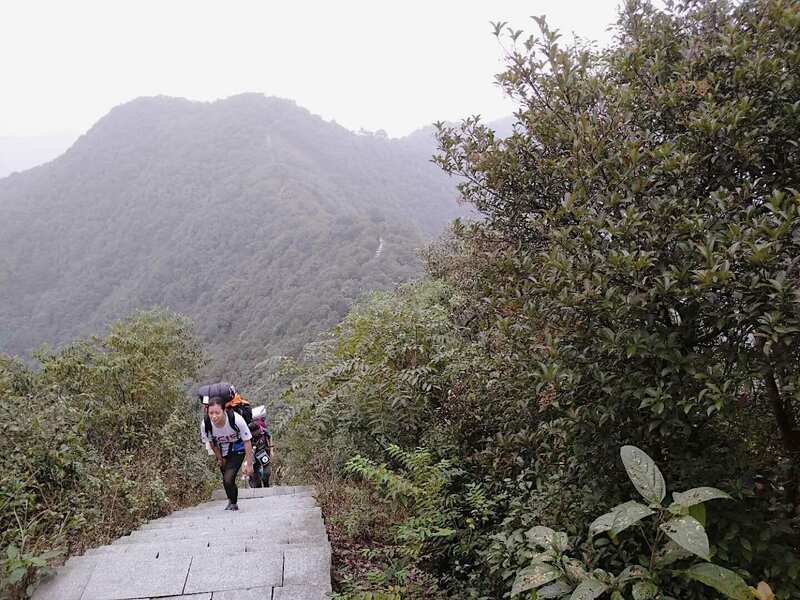 The campers rose early the next morning for a long day of hiking, aiming to make it to the next campsite before the heavy rains forecasted in the early evening. 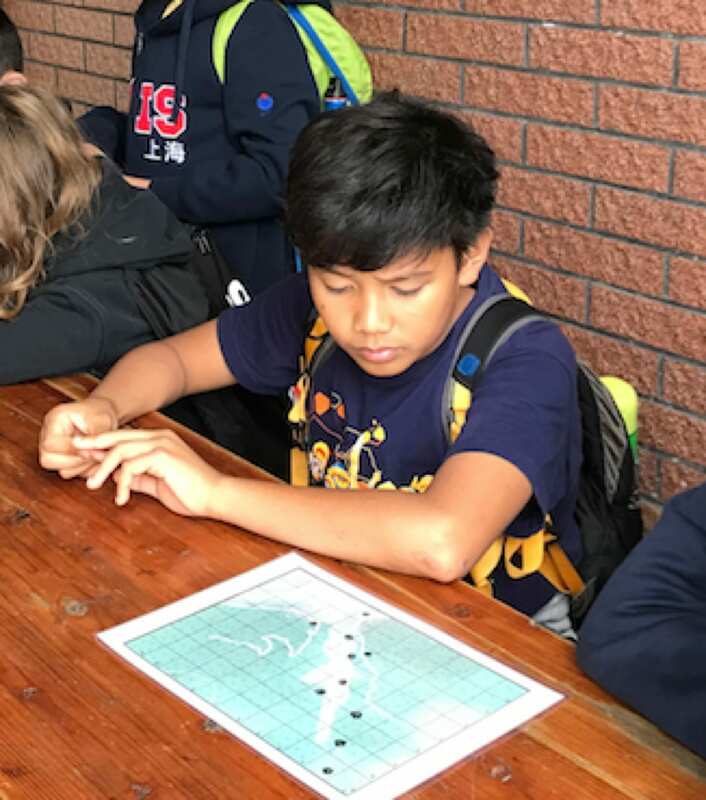 Unfortunately, the predictions were wrong and the skies opened in the morning, so the students were able to test out just how waterproof their hiking gear was! 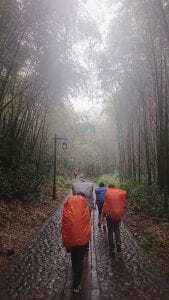 On the second day, the students also developed their navigation skills. Decisions were made on different paths to take, and although not all of the groups travelled on their planned routes, they all ended up at the beautiful clear-water pools of Bailongtan Forest Park. Once again, the students set up camp, cooked dinner, and prepared for their final day of the trip. 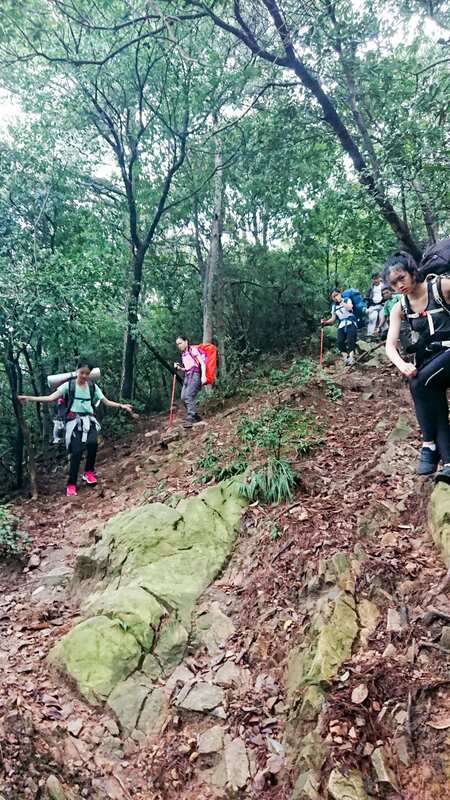 The weekend of hiking and camping had taken its toll on the students, and they had to dig deep to finish the journey. The final day included incredibly steep hills and multiple creek crossings, but nothing could stop the students from completing this extremely challenging Adventurous Journey, with everyone arriving before the scheduled time. 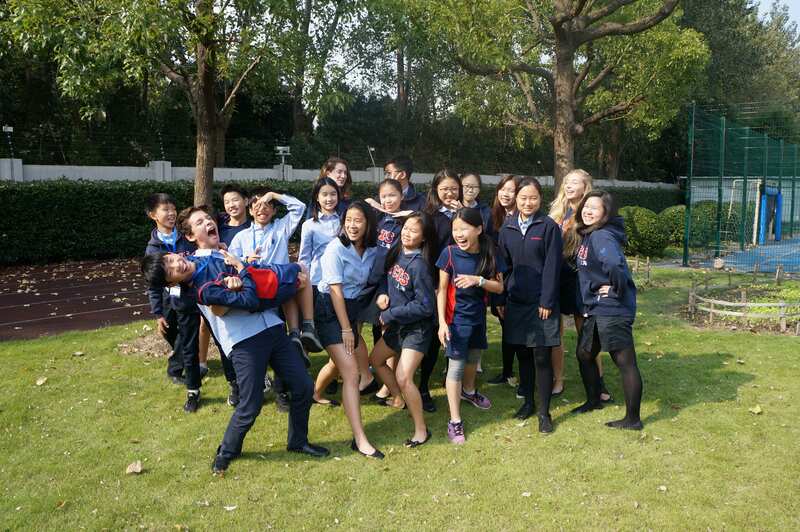 After a quick debrief with the guides, the students settled onto the bus for a peaceful journey back to Shanghai. 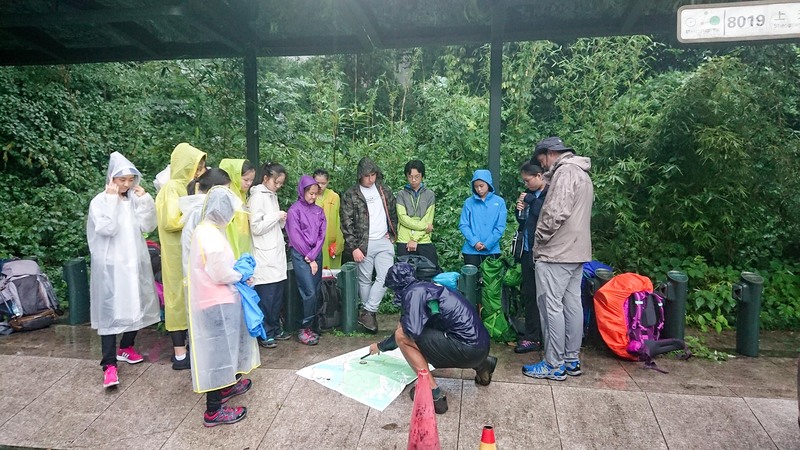 Resilience, courage, and determination were all on display over the weekend, and the group proved themselves to be very worthy Duke of Edinburgh’s Silver Award candidates. 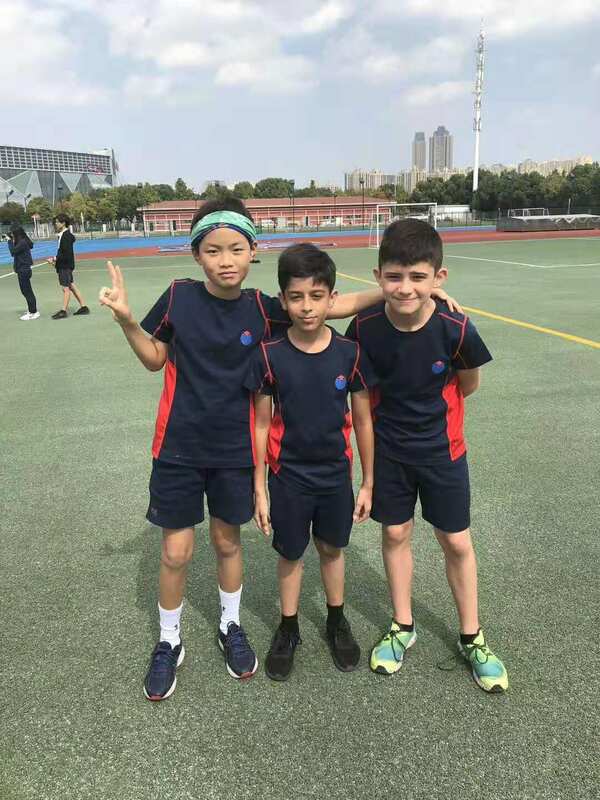 At YCIS Pudong, we are proud of our students’ athletic achievements, and it is always exciting when the new school year brings about a new season of sports and opportunities for our students to shine. 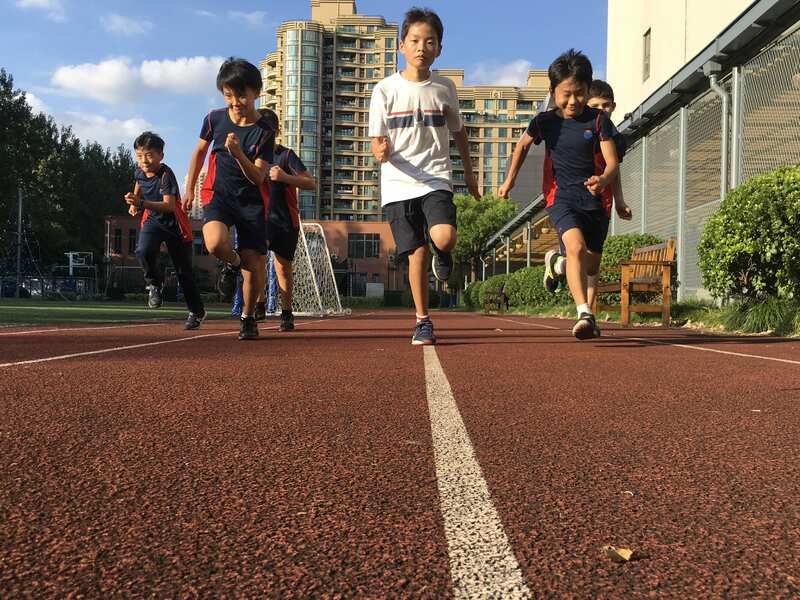 After a successful start to the season, now is a great time to look back on the accomplishments of our Pudong athletes so far. 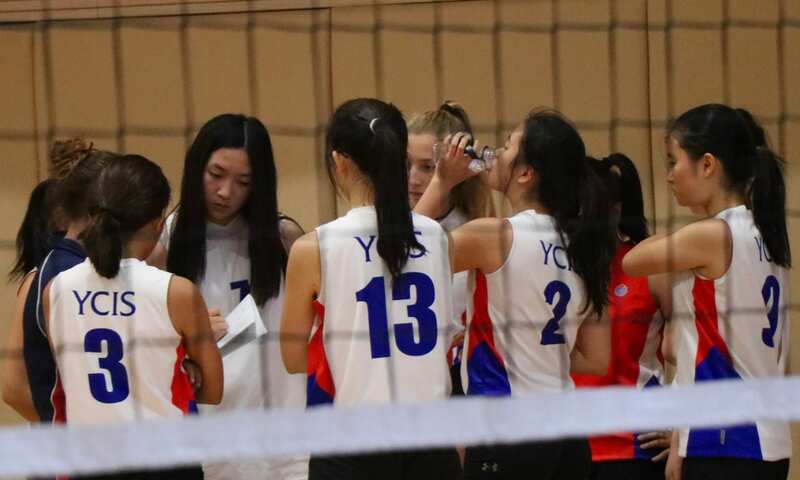 YCIS Pudong senior sports teams made triumphant starts to their Shanghai International School Activities Conference (SISAC) Volleyball seasons with both the boys’ and girls’ teams getting off to terrific starts. 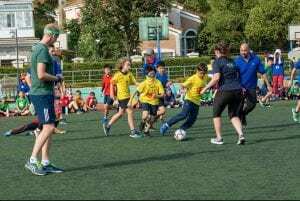 There was competition for places in both squads, with the potential for participation in the Association of China and Mongolia International Schools (ACAMIS) tournament. The girls started the season on a winning streak and ended up with an impressive record of six wins out of seven games. 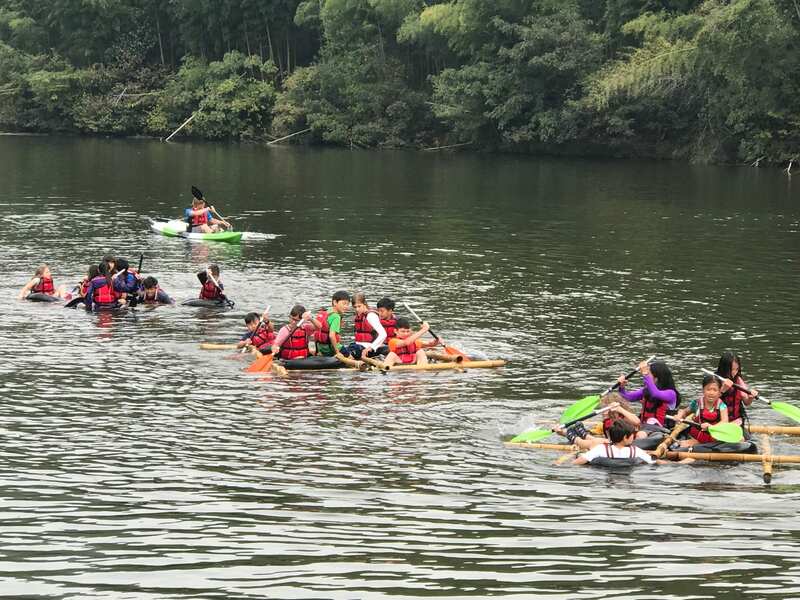 They then went off to the Cross-River Event where they finished a commendable fifth place (top third of competitors) in the D2 Cup, despite missing some key players who were away on the annual Education Outside the Classroom (EOTC) trips. 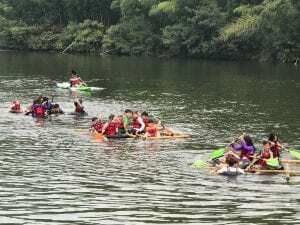 The boys did not take part in their Cross-River Event due to a schedule conflict with their EOTC excursion to Thailand. However, the season was very productive with three wins out of five games. 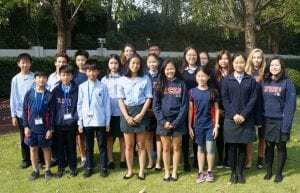 The boys’ focus this year was very much on the ACAMIS tournament, with the girls also attending with a full squad and high hopes. 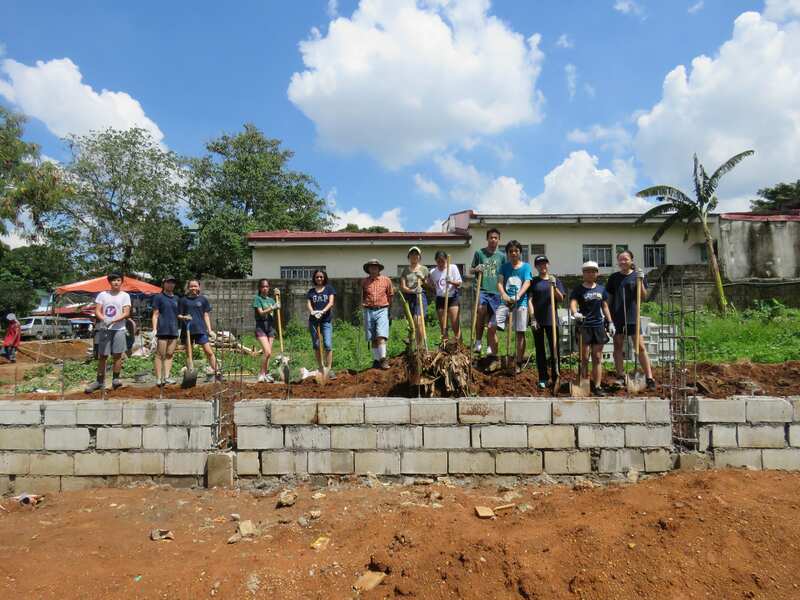 More news on ACAMIS to come! 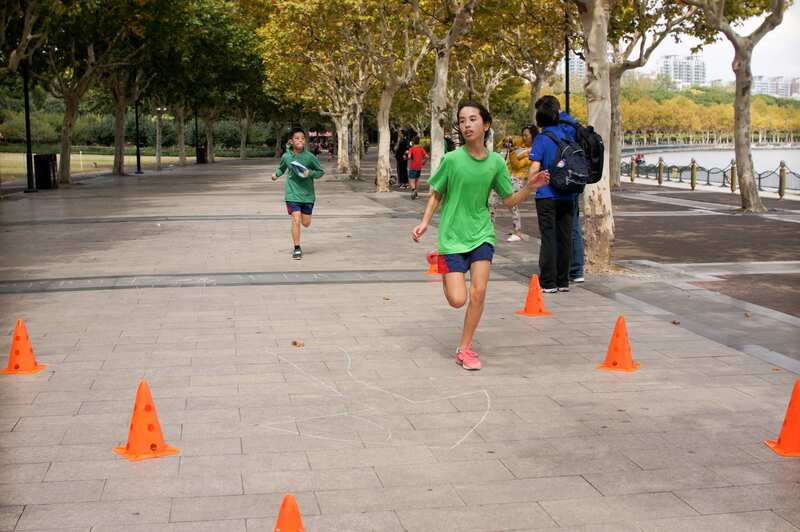 Cross-Country training and events have recently started, and there has already been a significant race meet. 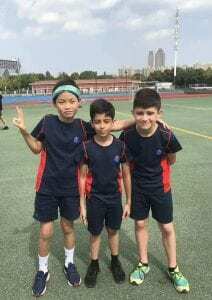 At the China International Schools Sports Association (CISSA)meet in Suzhou in October, all of the YCIS Pudong runners finished in the top half of the competition, and our superstar Year 6 runner, Nicholas finished in a magnificent fifth place out of all of the participating runners. What a fantastic effort! 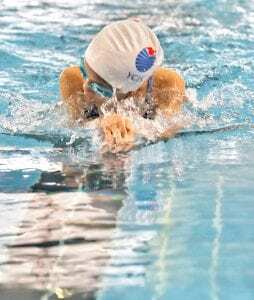 The Swimming team from YCIS Pudong started training early in the semester, and 21 students recently took to the pool for their first swim meet at an international school in Shanghai. 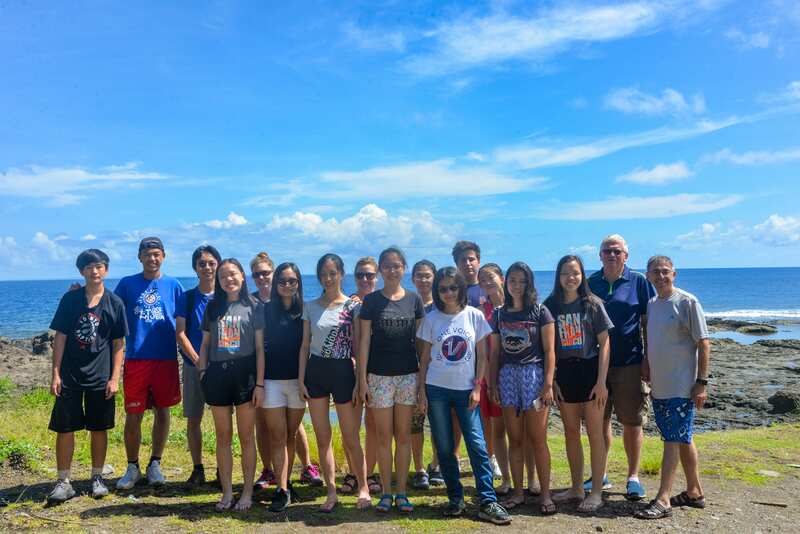 Of those 21 students, more than 15 achieved personal bests, which is an incredible achievement! 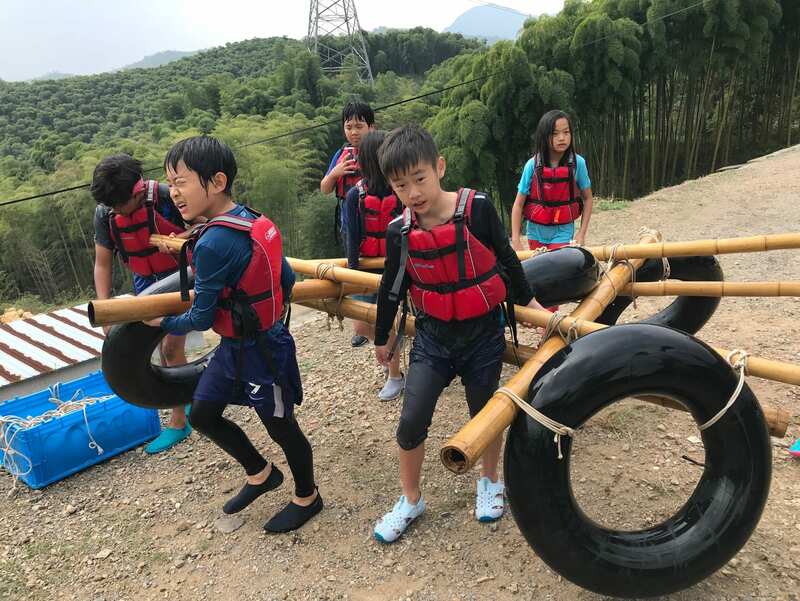 The elite swimmers in our ‘Black Squad’ also met for their ‘Fast Meet’ at another Shanghai international school where they showed off their impressive aquatic moves! The Football season is off to a great start at YCIS Pudong. 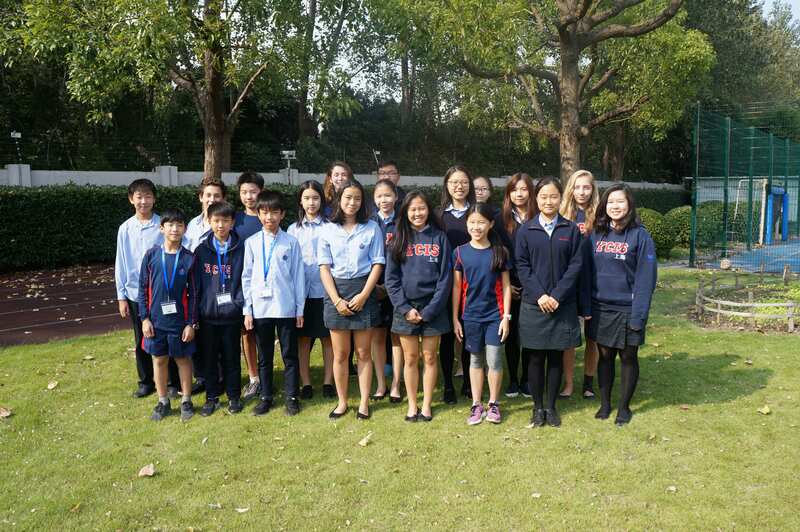 Our younger players have participated in several tournaments, including one this month in Suzhou which included international school teams from China, Japan, and South Korea. 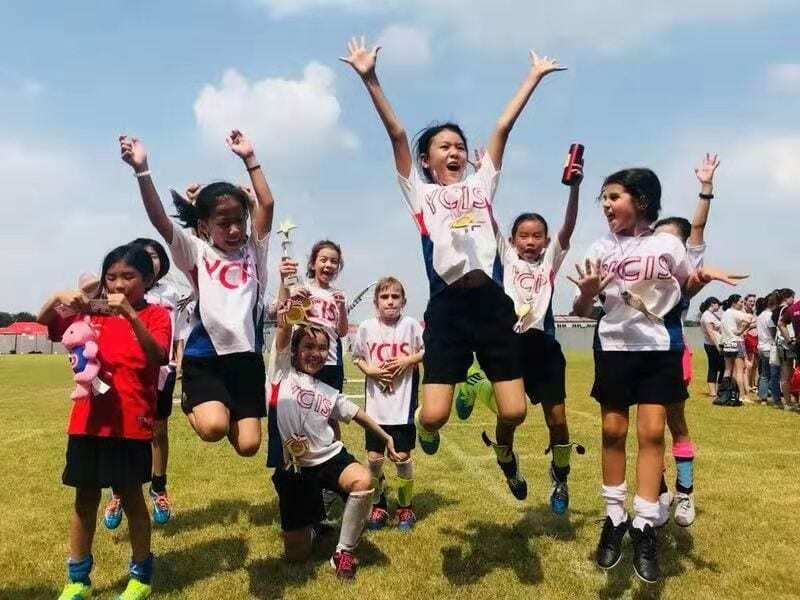 YCIS teams were represented in the Under 9 (U9) and Under 11 (U11) age groups, and the young football players delivered standout performances with the U9 girls winning their overall competition and placing first in the Cup Competition, and the U9 boys winning the D2 Bowl. 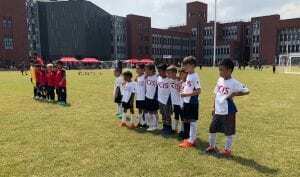 The CISSA Football season is now up and running, and we look forward to more successes on the pitch across the different age groups. 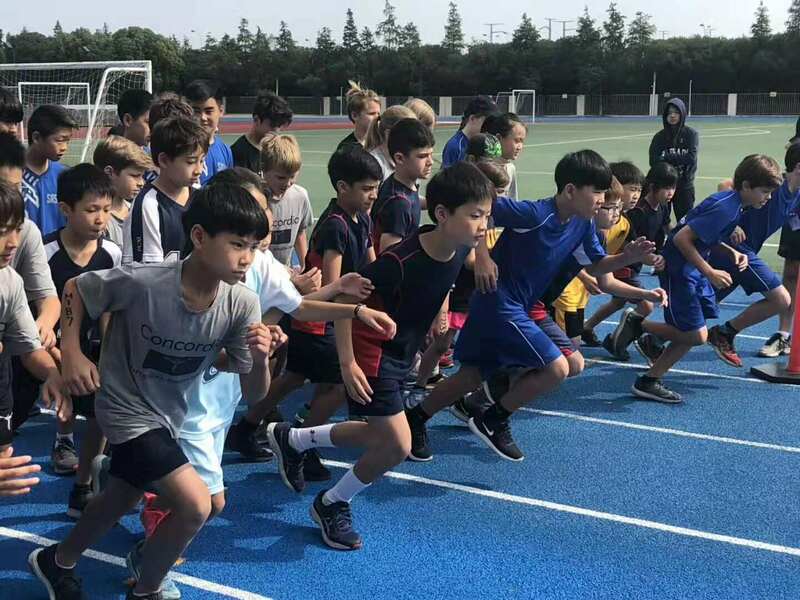 In addition, this year our Athletics Director, Mr Matt Uffindall, worked with an outside provider to hold our first-ever Football Coaching workshop for parents, teachers, and secondary students! 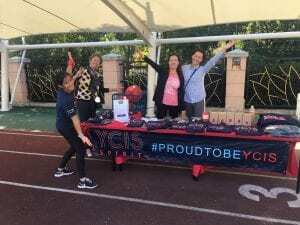 The celebration of the school’s 86thFounder’s Day and YCIS Shanghai’s 25thAnniversary was an excellent chance for our students to show off their sporting prowess. 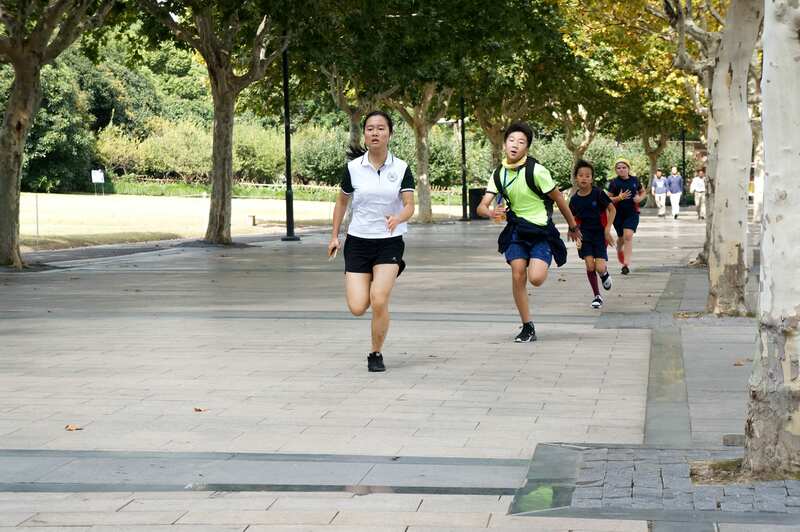 In the annual Cross-Country event, the runners took a dash around Century Park and three course records were set, with Jake and Julia smashing the boys’ and girls’ Year 7 course records, and Year 11 student, Elena setting a new record for the girls in her year group. Table tennis, SISAC basketball, and floor hockey are all set to begin soon as the sports rotate and the events continue. We look forward to more new records being set, and to seeing our students continue to excel in their respective disciplines! 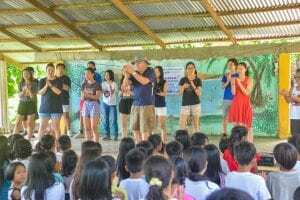 What an amazing, diverse, intense and fun time we had with the Y11 Students at KIM (Kids International Ministries) in the Philippines. 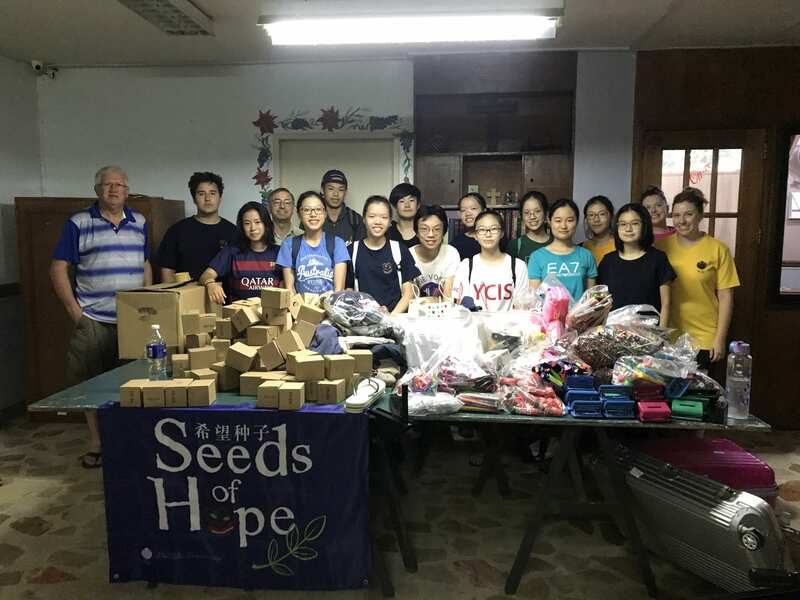 There was so much to do, so much to absorb and process, and so much to reflect on, as we embraced and put “Love and Charity” into practice. 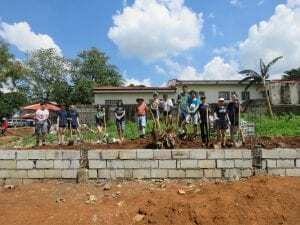 The school will continue to support the KIM project in the Philippines and many other students and staff will have the opportunity to visit and have these types of lasting memories. From Tuesday, October 16 to Friday, October 19 our Year 6 students attended the annual Camp Trip to Moganshan in Zhejing Province. This is a new venue for the Year 6 Camp, which has previously been at venues nearer to Shanghai. This was a whole new adventure. The students were immersed in nature, participating in a number of events that pushed them to the edge of their comfort zones, teaching them independence, resilience, and teamwork. 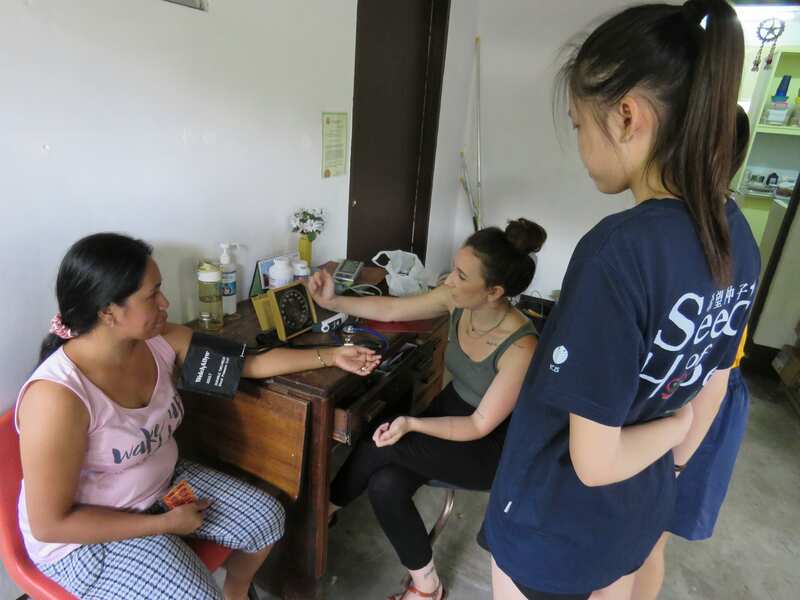 They also developed vital self care and problem solving skills, being away from home for a substantial period of time. 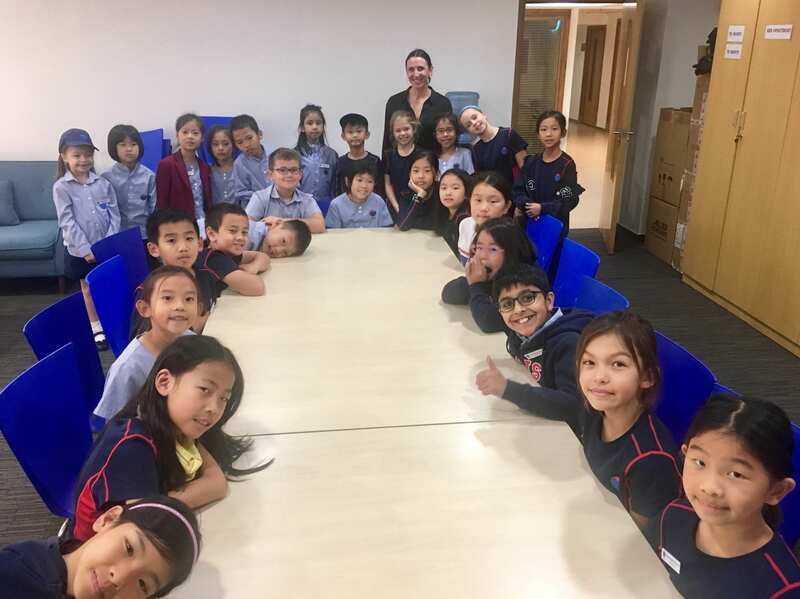 Since your introduction by our Co-Principal and our Athletic Director Matt Uffindall at last May’s Parent Coffee Morning, we have been waiting excitedly to finally get to know you! You have been long awaited by the whole school community! 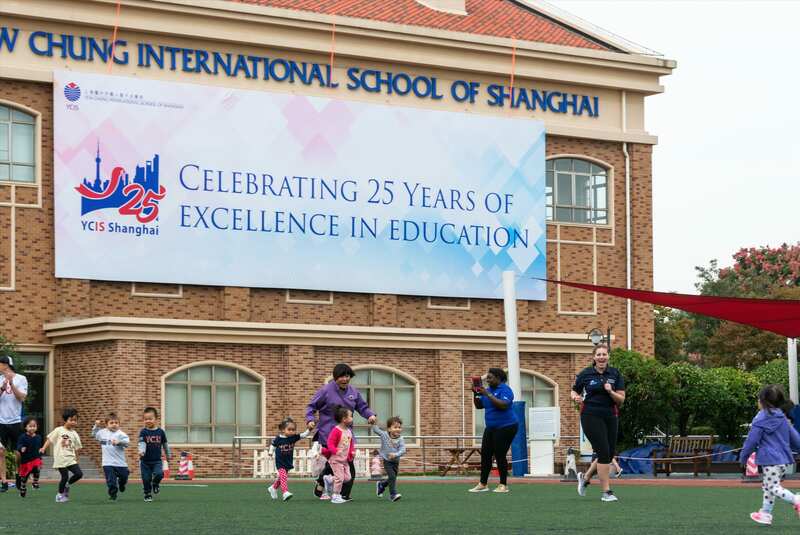 Please tell us what convinced you to come to Shanghai and join our school! 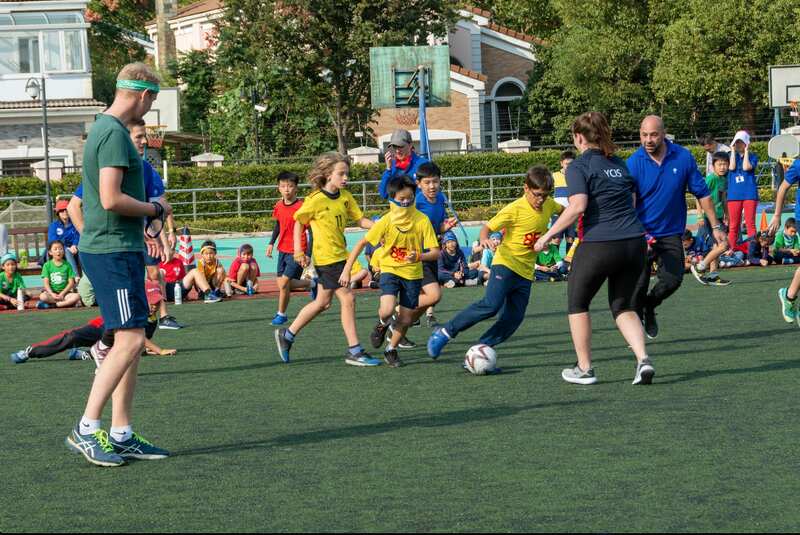 I’ve been teaching P.E in Edinburgh, Scotland as a Primary P.E specialist for 3 years and I wanted a new experience of teaching abroad. 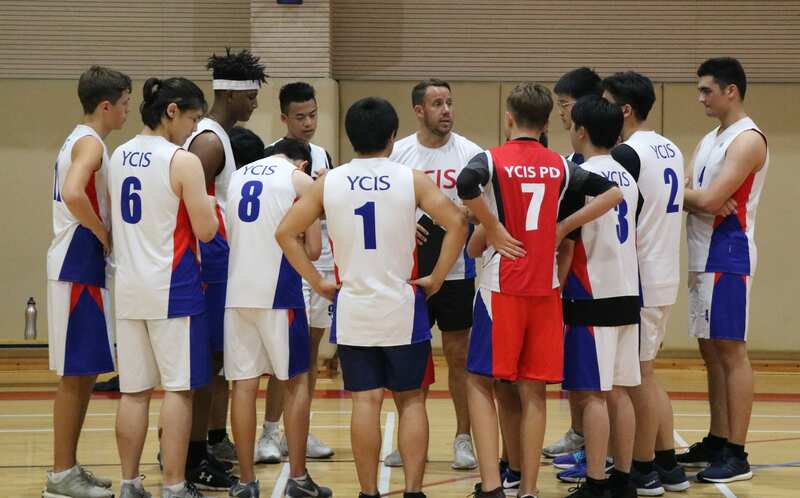 When I first discovered YCIS I knew that the school was a great fit for my teaching philosophy and YCIS really values P.E and Sports. 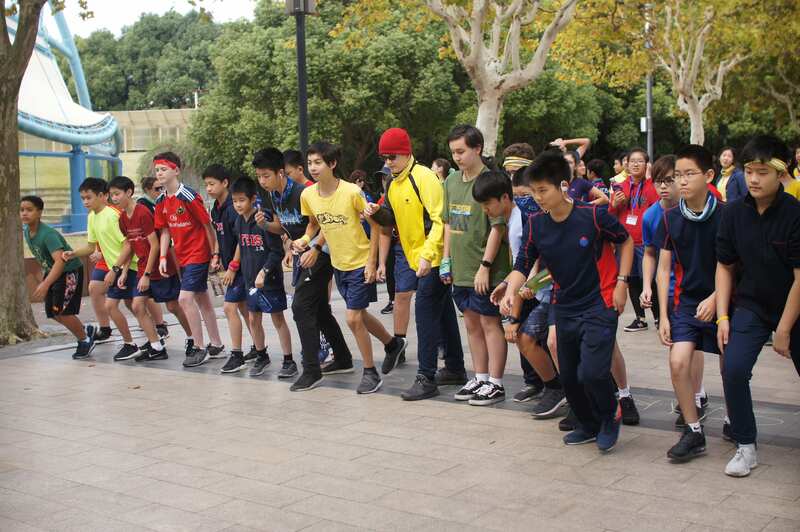 When I met Damien at my interview and learnt more about the school I knew that YCIS and Shanghai were perfect for me. What inspired you to become a P.E. Teacher? Well, from what I remember, I always wanted to become a teacher. 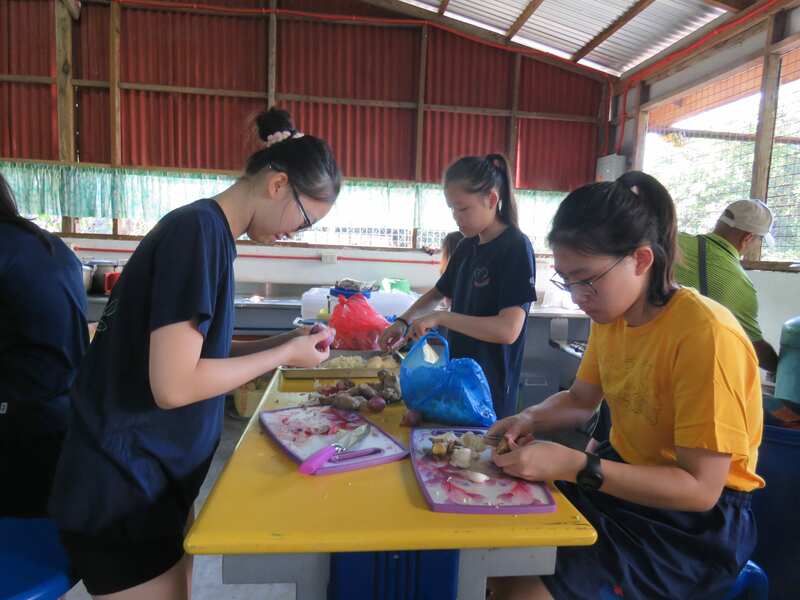 I liked helping people in my class and showing others how to do things so I thought teaching would suit me. History was my favorite subject along with P.E, so it was between the two. I remember at that time my Physics teacher told me that I could be anything (due to my exam results), and he didn’t understand why I would want to teach P.E and that made me want to prove to him why it was valuable and a good career choice. I also had two great female P.E Teachers that inspired me. 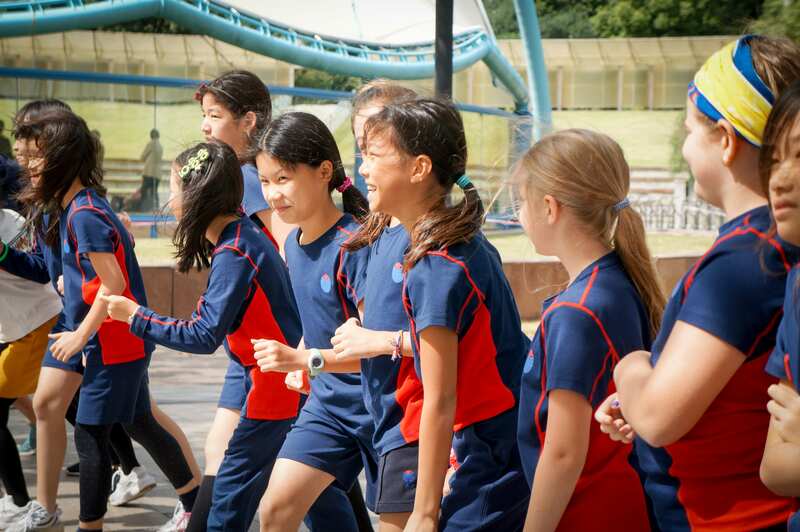 One was super enthusiastic, positive and encouraging and has great passion for P.E. – I knew I wanted to be that kind of teacher. The other was the head of department in my high school and she was a good role model for showing a female in a leadership role. She was also very caring, supportive and approachable which I knew early on were important qualities in a teacher. 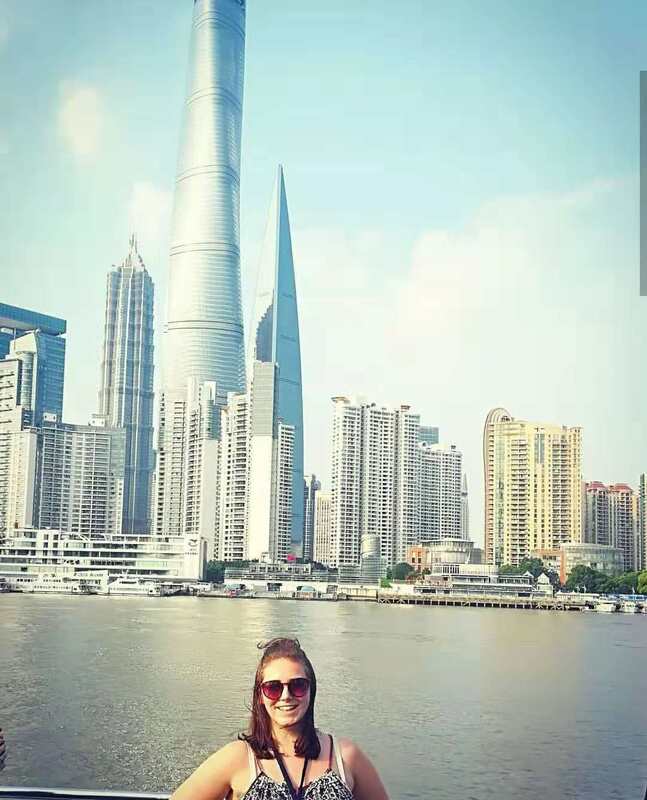 You asked about golf when you just arrived in Shanghai. Did you used to play? What sports do you fancy in general? Yes, I love golf. I started when I was 7 and have played in many competitions and tournaments as a junior and now as an adult just play weekly club medals. 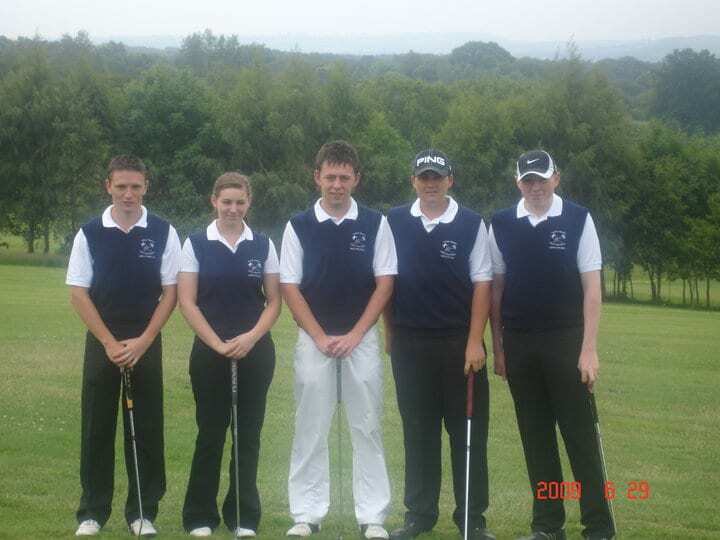 I represented my school golf team, my club junior squad and club Ladies team. I was also Ladies Vice captain of my golf club. As a junior I had a fantastic opportunity to play golf in Sweden, on three occasions – representing Scotland – in the Viking Trophy. I captained the team on our final year and we won the trophy! However, Golf shared my spare time with Athletics, my other favorite sport, which I started when I was 8. 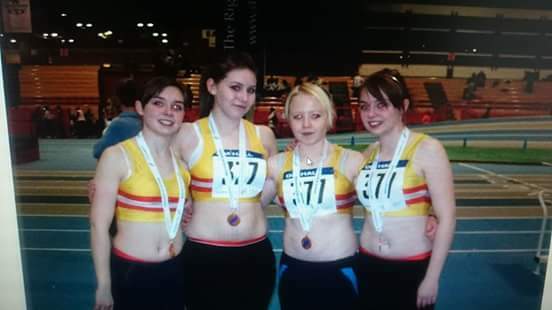 I was a sprinter and trained and competed on a weekly basis until I was 19. Over the years I won many medals including local, district and national. My 4×100 relay team won Bronze at the National Championships. 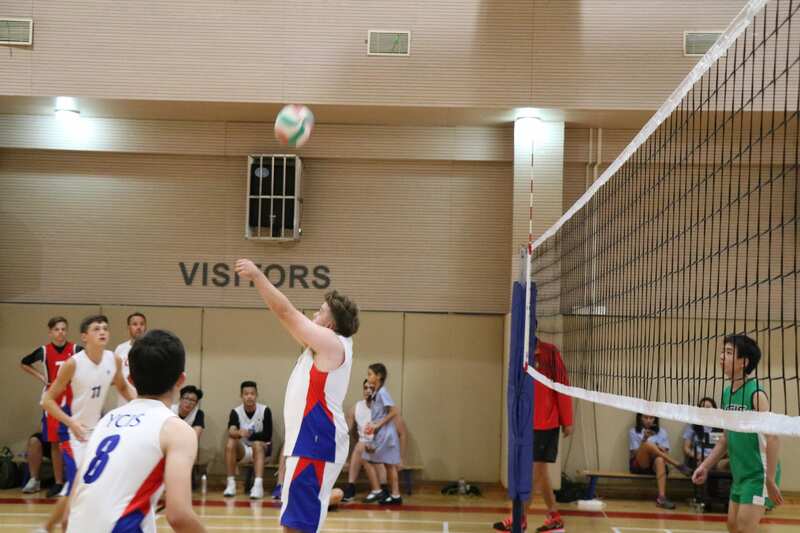 I loved being active and really enjoyed sport and also captained my school Volleyball and Netball teams. I continued to play netball for Edinburgh University in my first year but unfortunately had a few years out of sport due to a string of serious knee injuries. Wow! How did you get into these kinds of sports so early? These are not regular sports you get started with in general, I mean golf and athletics, especially. My dad introduced me to golf. 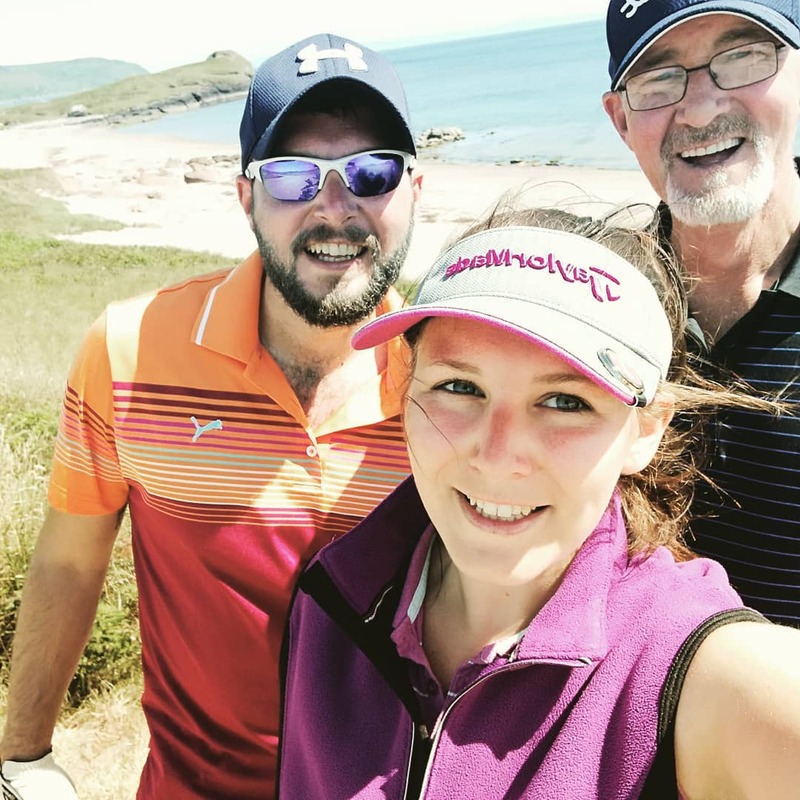 He took up golf later into adulthood and regretted never having the opportunity as a child so he made sure that my sister, brother and I had that opportunity. 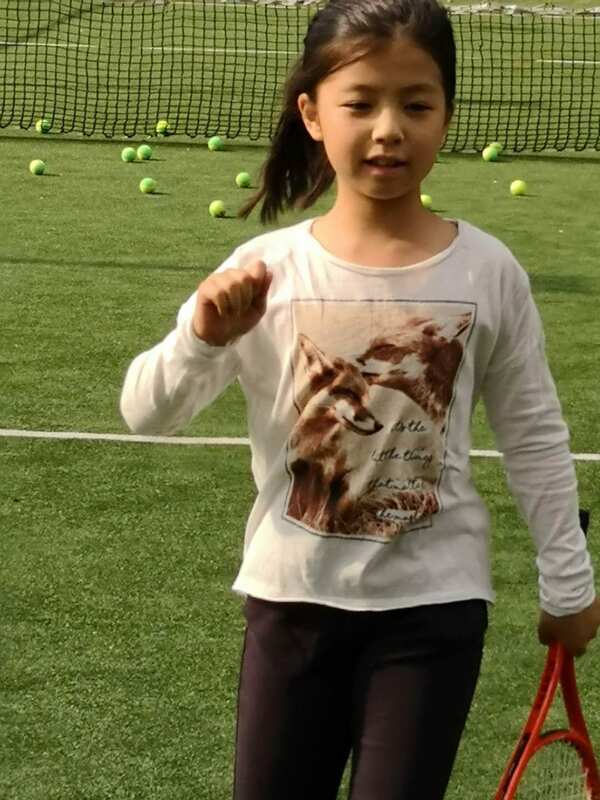 I started Athletics because I was always the fastest runner in my class and I remember seeing a poster in my primary school advertising a local club so I asked my dad to take me along. 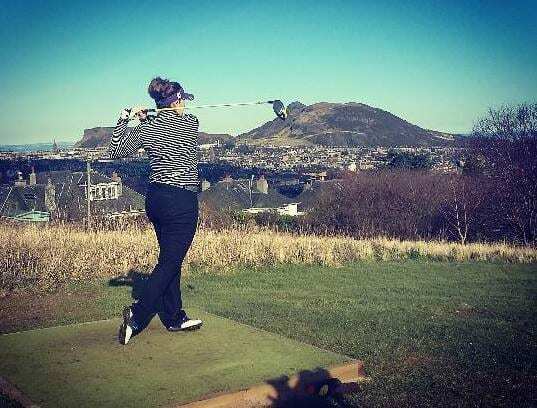 Can you tell us a bit more about golf especially about your international experience? This was a tournament set up by my local district in the west of Scotland so I wasn’t selected from the whole of Scotland as such. However, it was a fantastic opportunity and my first year I was selected I was only 14. It was my first time away from my parents: I flew to Sweden and was hosted by a member of the Swedish team. 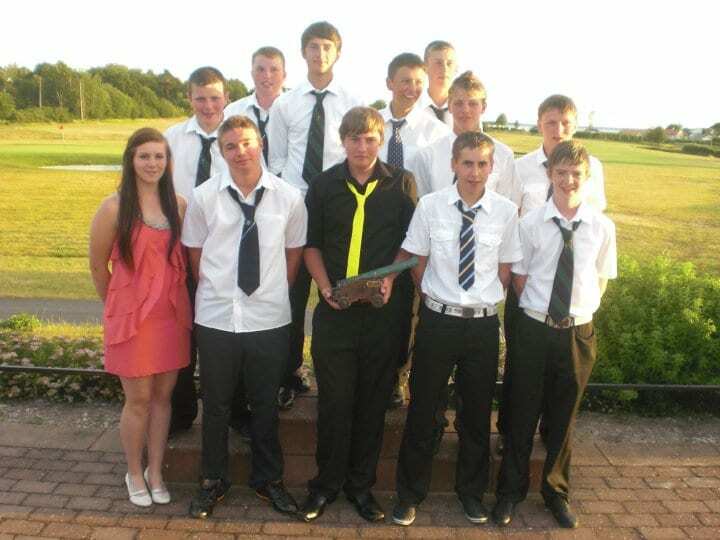 The trophy we played for was called the Viking trophy and was played over 3 days, the same format as the Ryder Cup. The following year, we held the tournament in Scotland, so I had a Swedish girl living with me throughout the tournament. My first year was very daunting and I lost all my matches. I was very lucky to be involved with the program for 5 years, because experience, hard work and practice do pay. In my final year, I was 18, had gained lots of experience, was a much better golfer and was selected as Captain. I won all my games and we won the trophy! Yeah! – So…did you always want to be a leader? Oh yes! I have always enjoyed taking the lead and having responsibility, especially in a sporting team. I always loved competition and I am very motivated and enjoy winning! I am even competitive with my friends and beat my best friend in votes for the captain of the school netball team. But in our final year of high school, I competed with her for school Captain and she beat me this time. I had to settle for vice-captain! How did you become a leader and how can you be a good leader? In school I was either chosen by my peers or by the teacher. I guess because I am really motivated, responsible, can help others and was even though I don’t like to lose I have good sportsmanship. In to adulthood, I enjoy a leadership role and I think I am confident talking in front of others, passionate, organized, fair, and show good initiative. And…what is your ambition for the future? 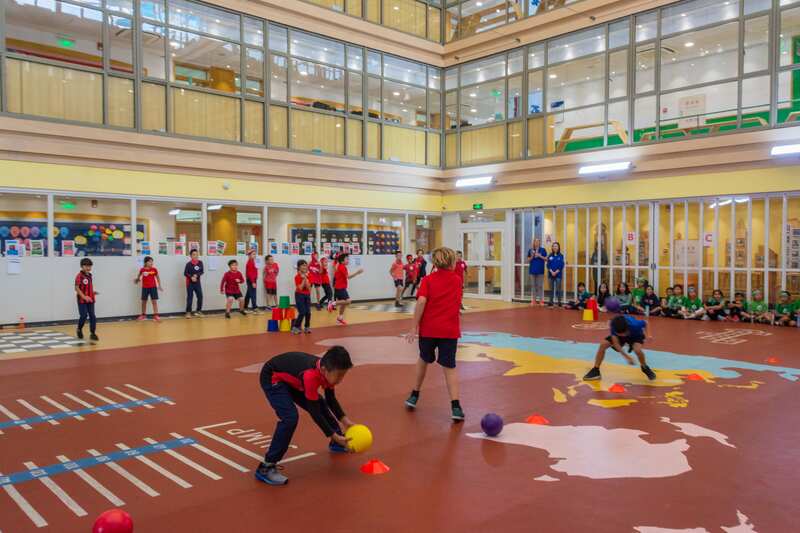 Well my dream would be to have an influential role in P.E curriculum design, whether that be in the UK or internationally. 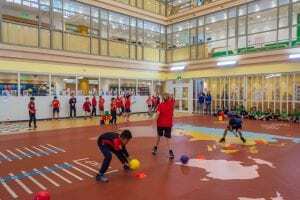 I am passionate about P.E and how valuable it is to a child’s education. 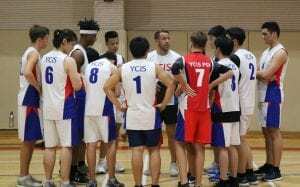 For the moment, I want to enjoy teaching P.E in this new environment, contribute my ideas and vision to YCIS and to inspire students. One last word you would like to share with our school community? 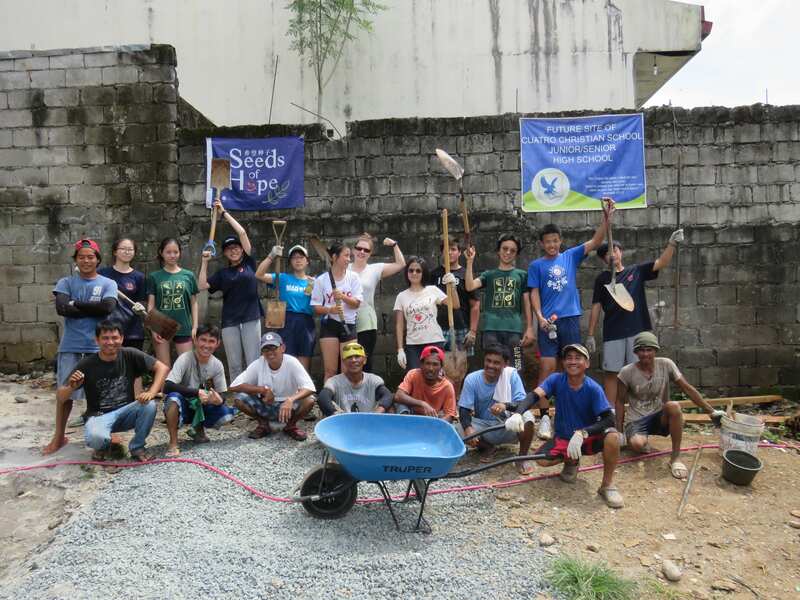 I am delighted to be part of the YCIS community and I am thankful for how welcome everybody has made me feel. 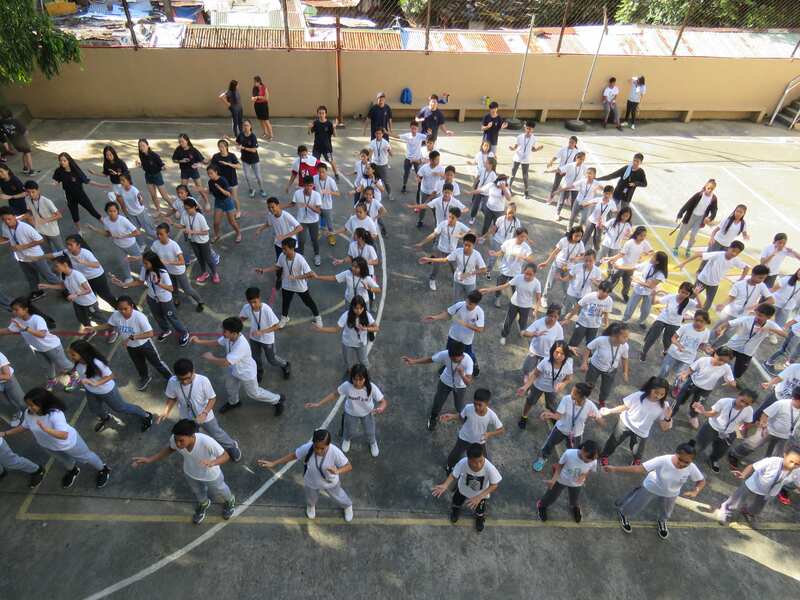 I wish I can share the true value of P.E and hope my passion will influence others. 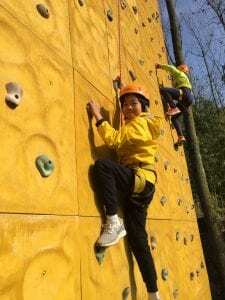 Dora Zheng in Year 5C is new to YCIS Shanghai but not new to YCIS. 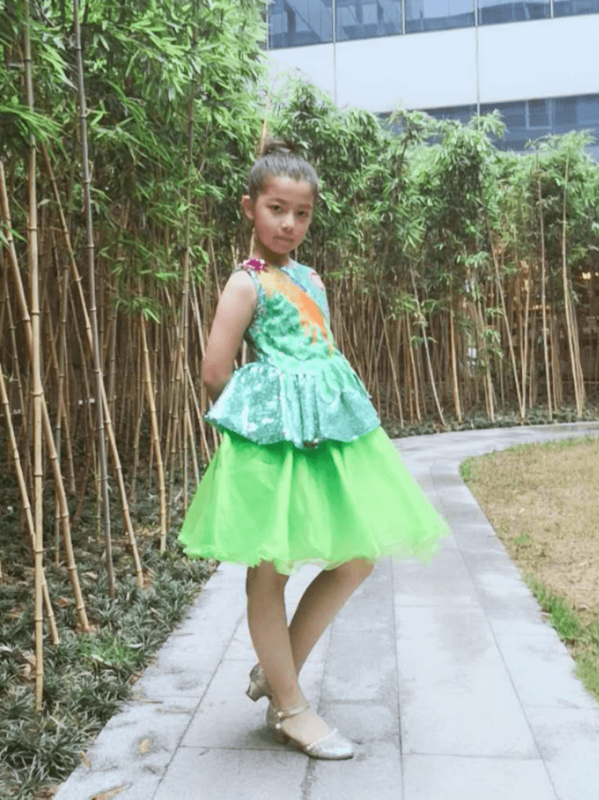 Dora attended Kindergarten at YCIS Hong Kong before moving to Ningbo and finally making her way to our YCIS campus. Dora has the special talent of speaking many languages. 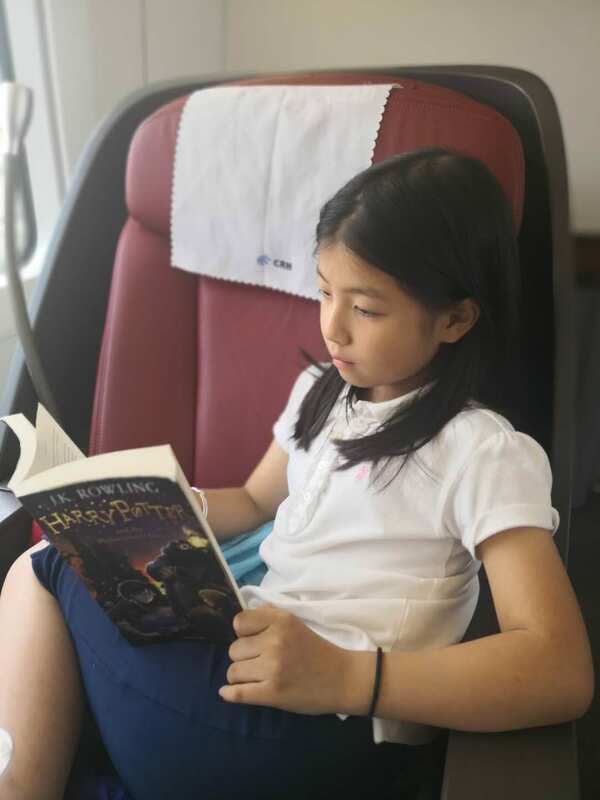 Dora said that, “from a baby I learned Chinese and English, and mostly speak Chinese at home.” Dora also said that her learning of other languages began just over five years ago when she lived in Ningbo. “My mother hired teachers from the university and I started to learn Spanish and French.” Dora is quite fluent in both of these languages, so she and her mother decided that she should continue learning more languages. Arabic and Russian followed and currently, she is learning German. In total, Dora speaks seven languages and she says that she is planning to visit Spain and France over the Christmas break because, “it is a good way to practice” her language skills. 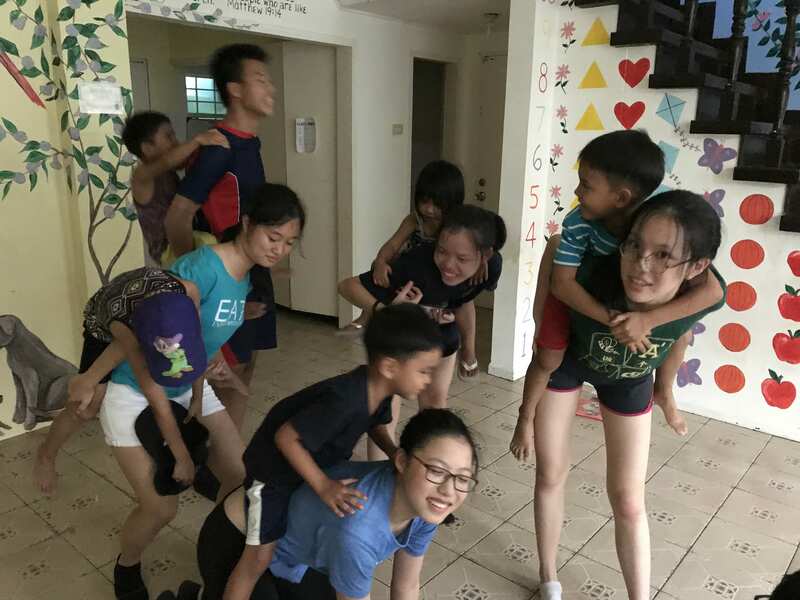 She says that language learning is fun and she loves to spend her free time doing this. 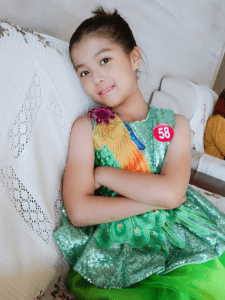 When asked why she thinks it is important to learn so many languages, Dora said, “When I grow up, I want to have a business and talk with people from all over the world. I want to be able to talk with them without a translator.” Dora also enjoys playing the piano, swimming, riding her bike, running and climbing. If you know German, Russian or Arabic, and see Dora on campus, please be sure to say hello to Dora as she would love any opportunity to practice these languages.